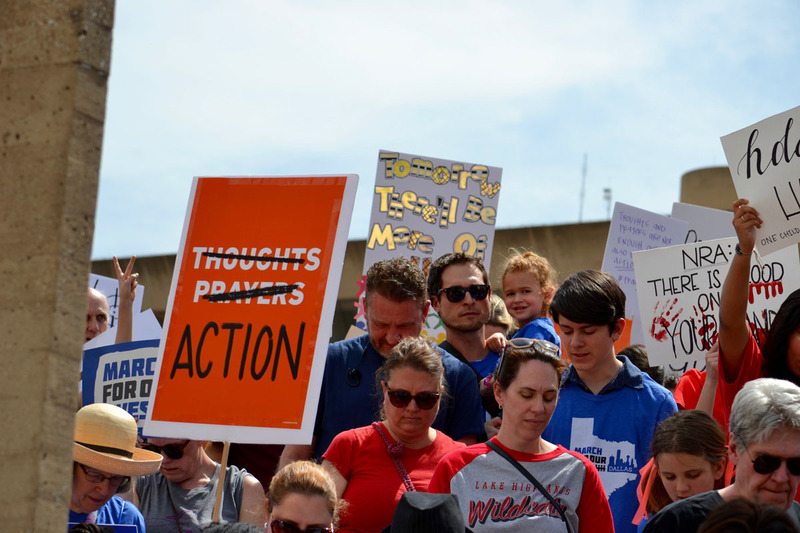 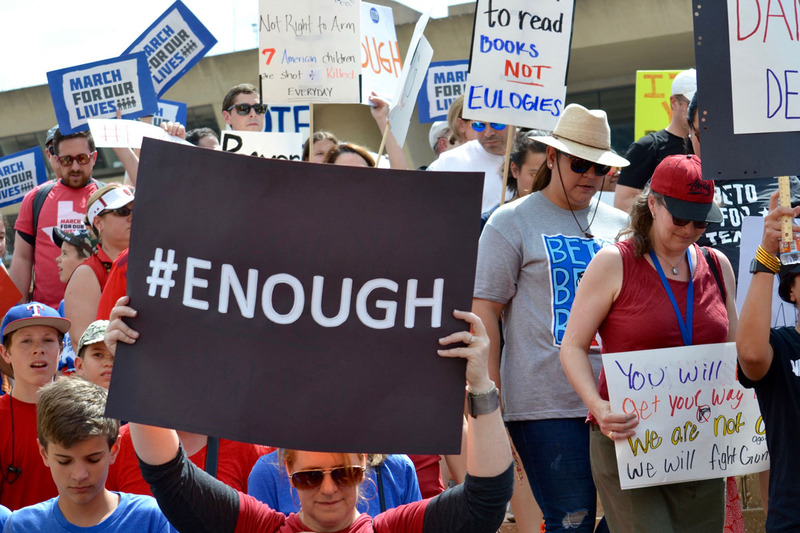 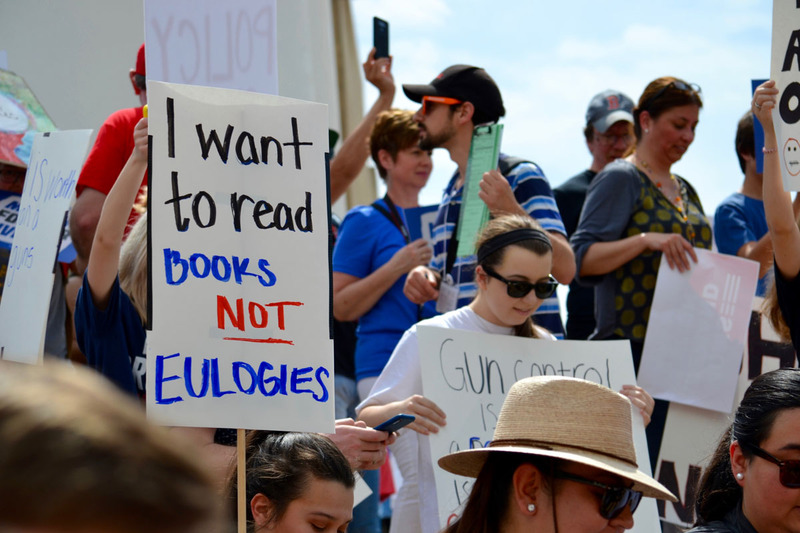 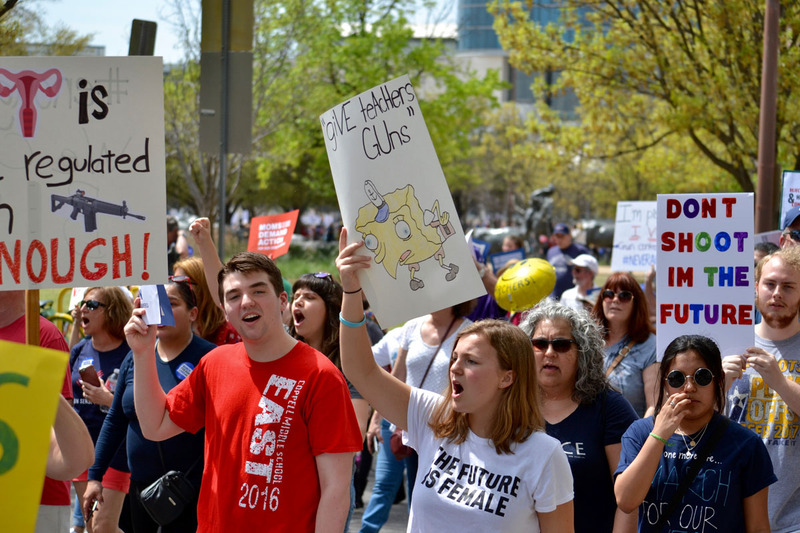 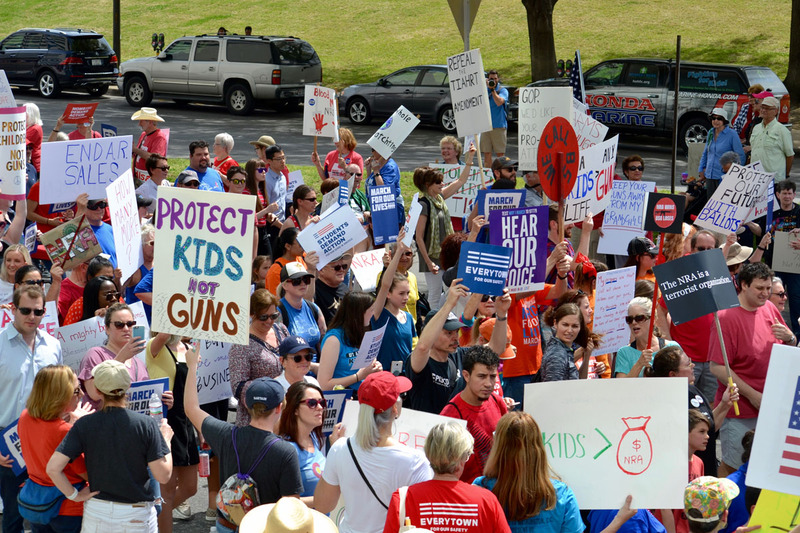 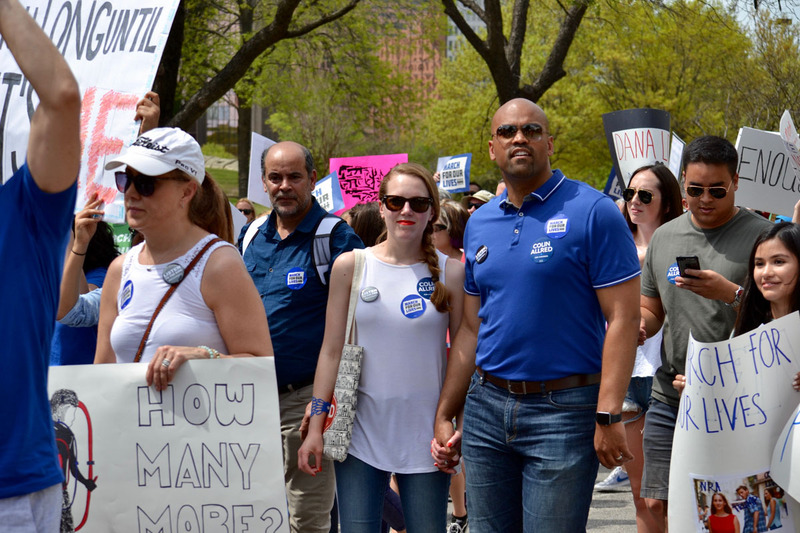 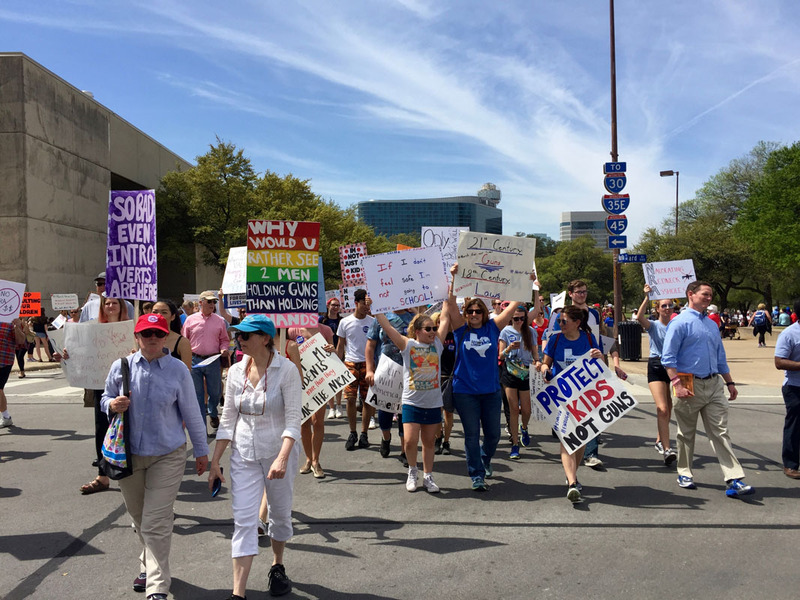 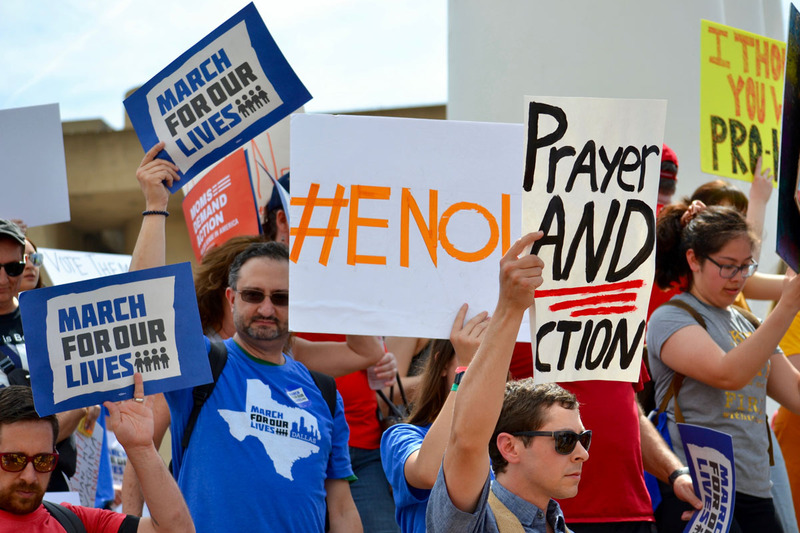 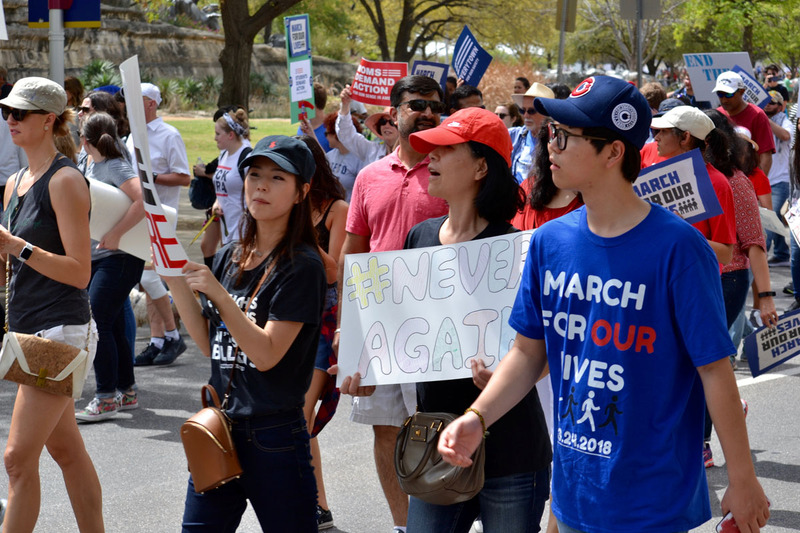 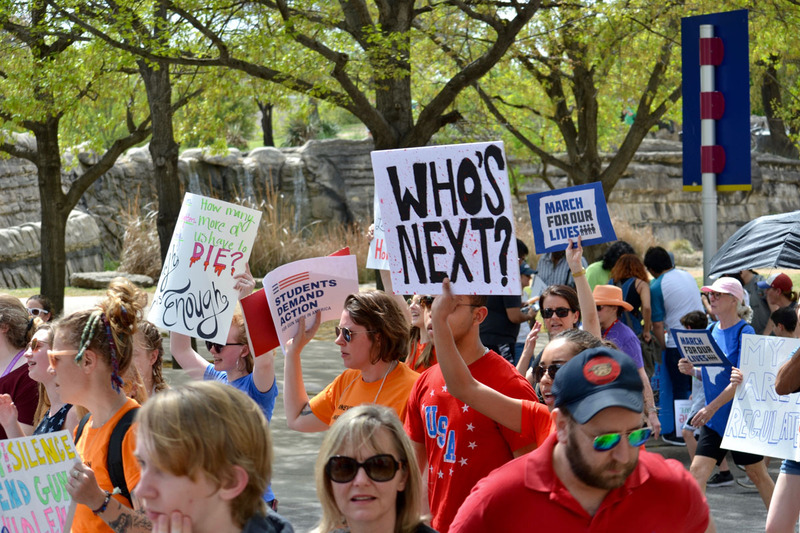 Thousands Walked In Dallas’ March For Our Lives. 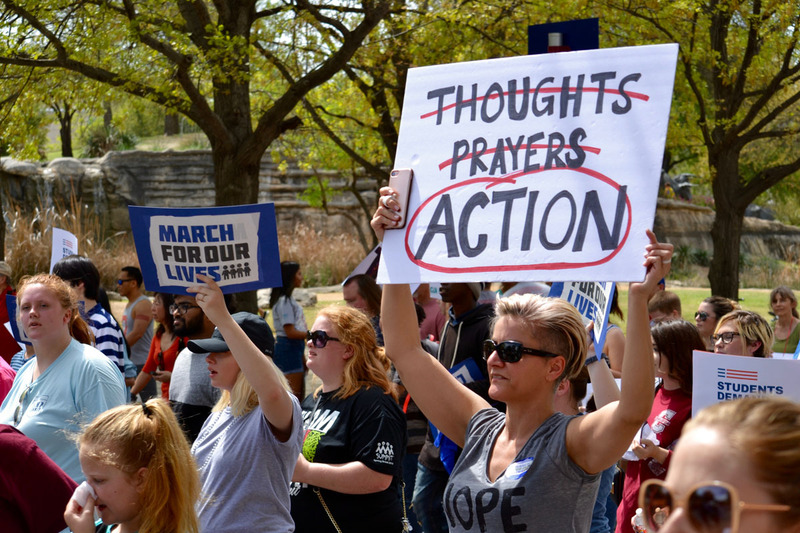 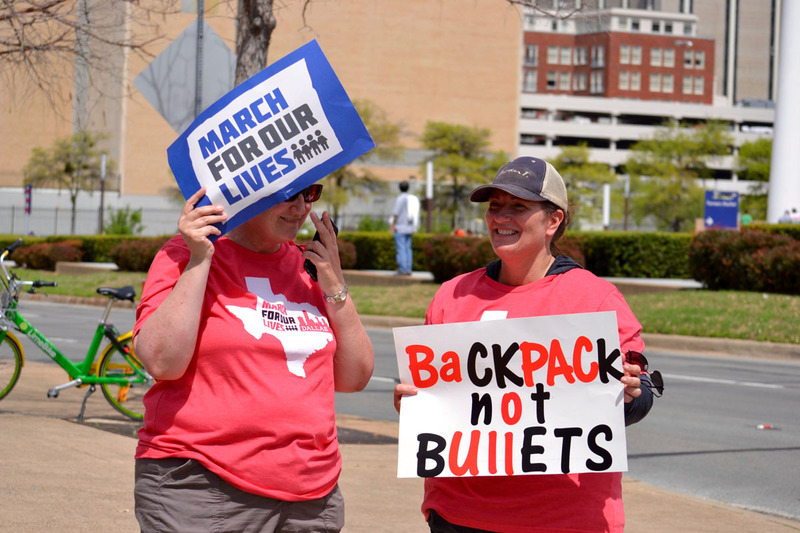 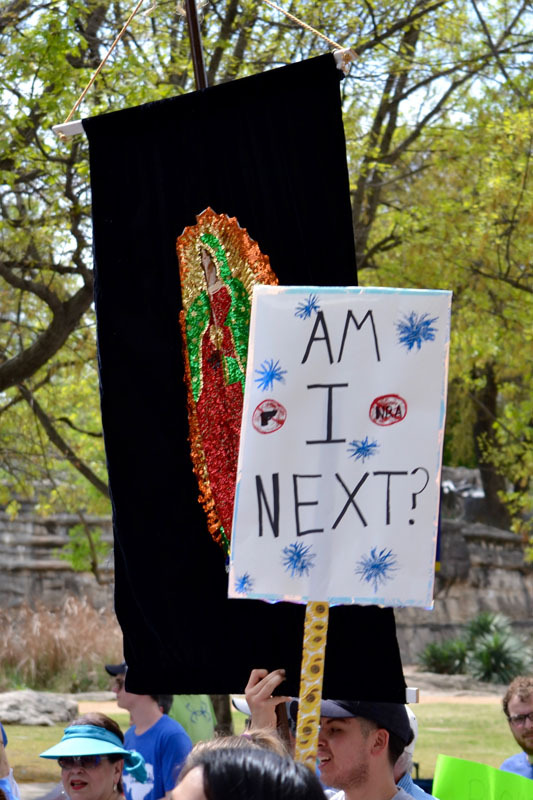 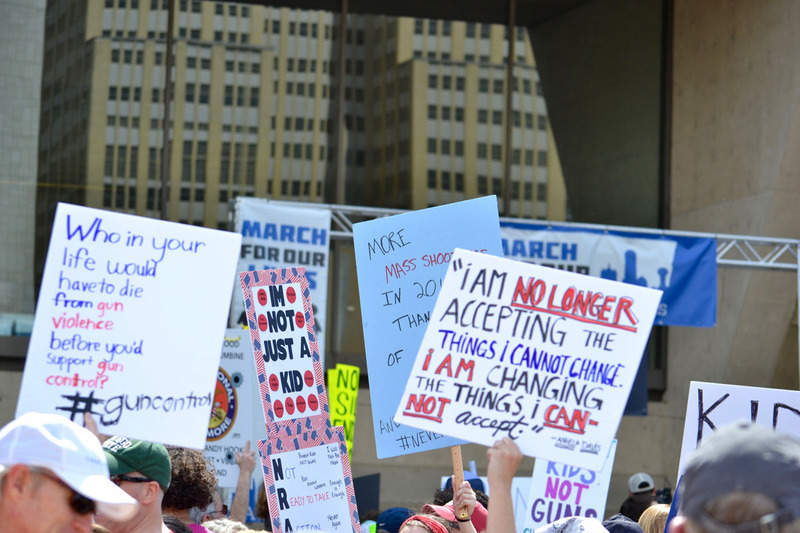 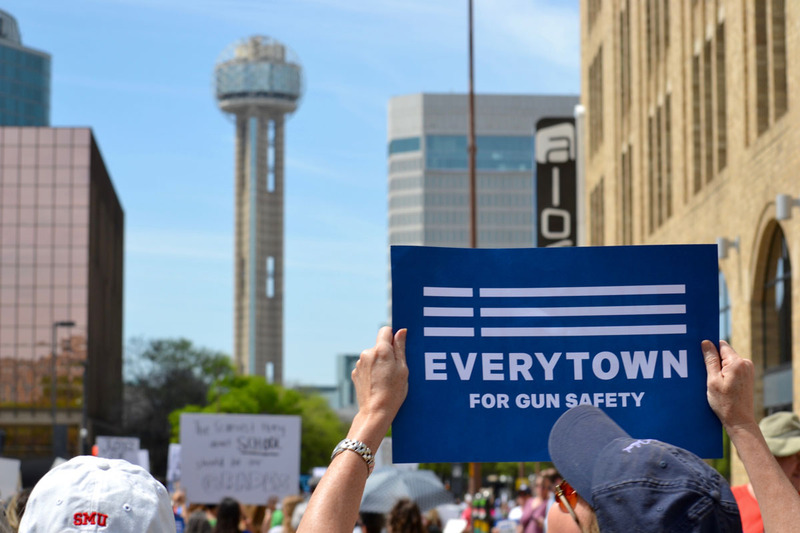 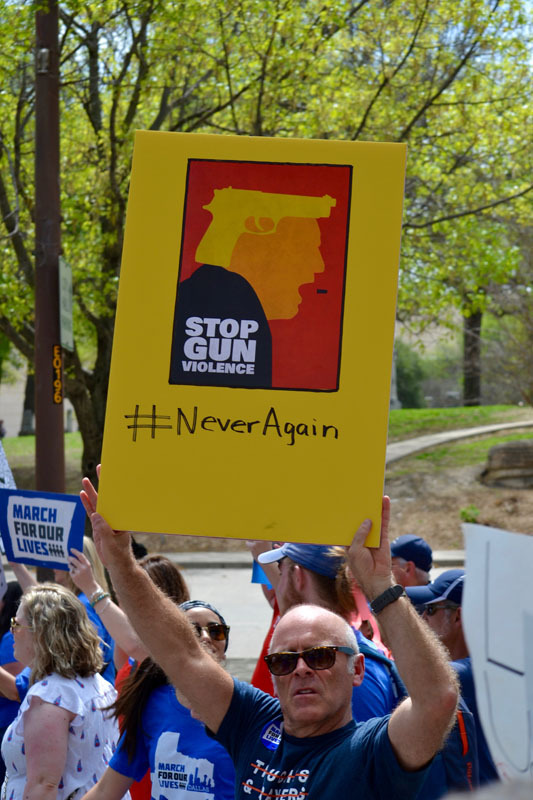 [PHOTOS] Organizers For Dallas’ March For Our Lives Event Underestimated Themselves, As Hundreds More Than Expected Came Out To Show Support At Dallas City Hall. 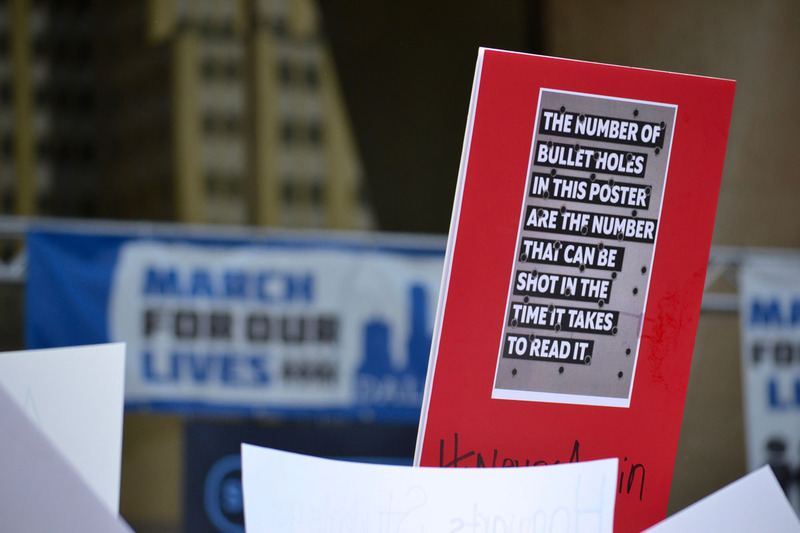 Photos by Morgan McPheeters, unless otherwise noted. 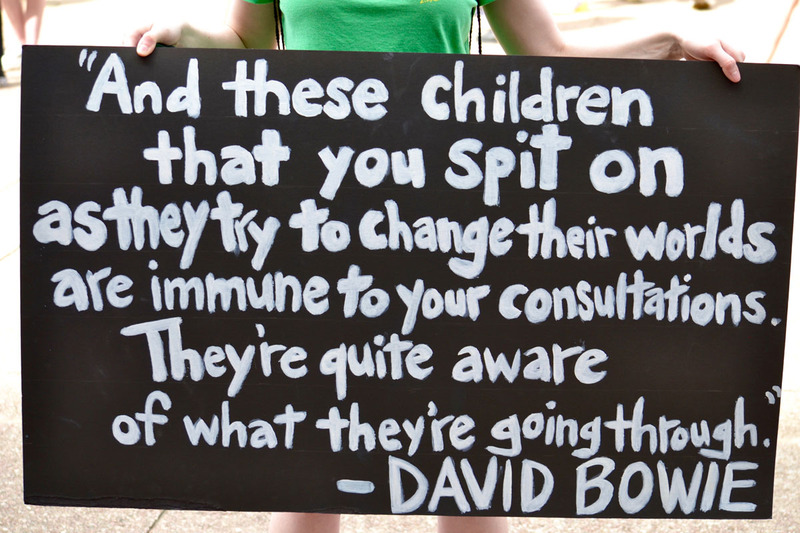 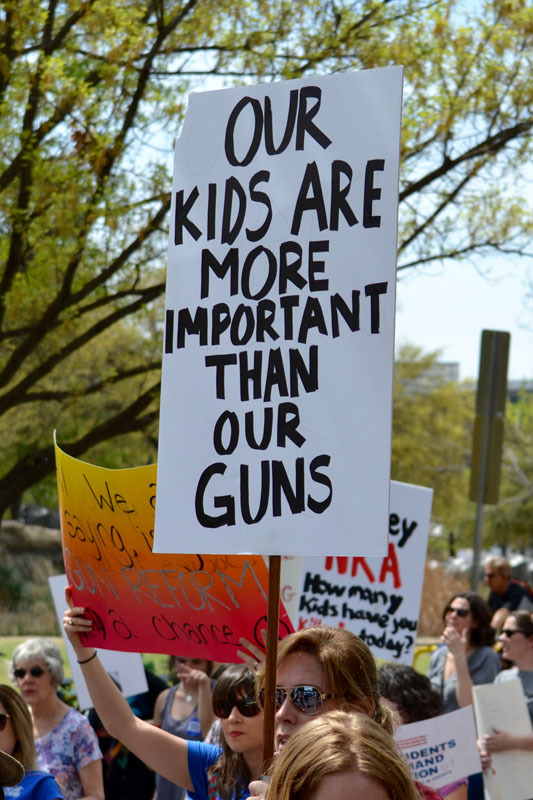 It would appear that the kids are more than alright, actually. 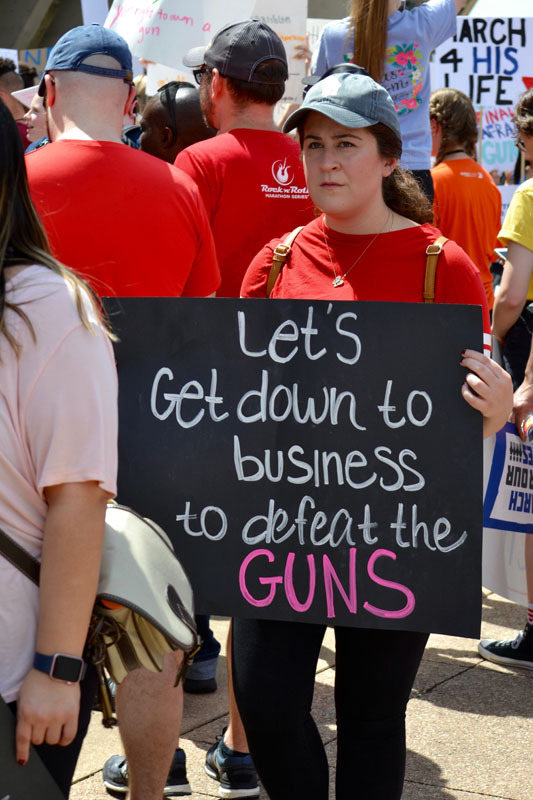 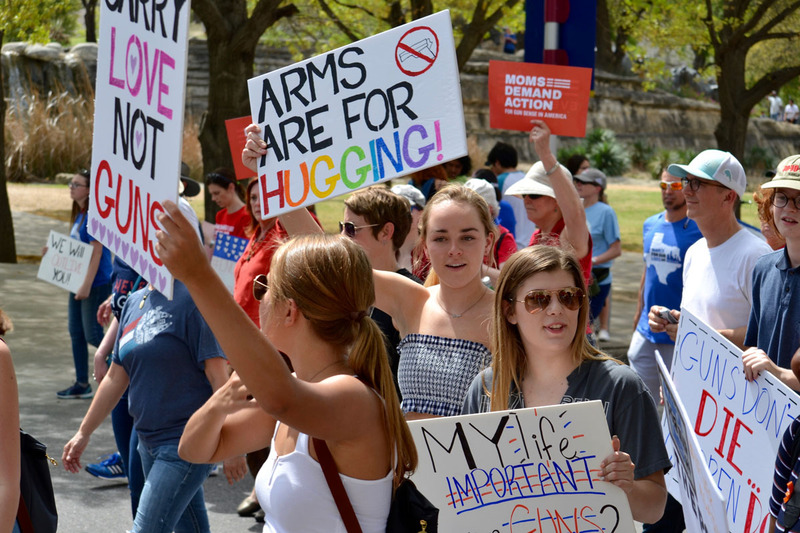 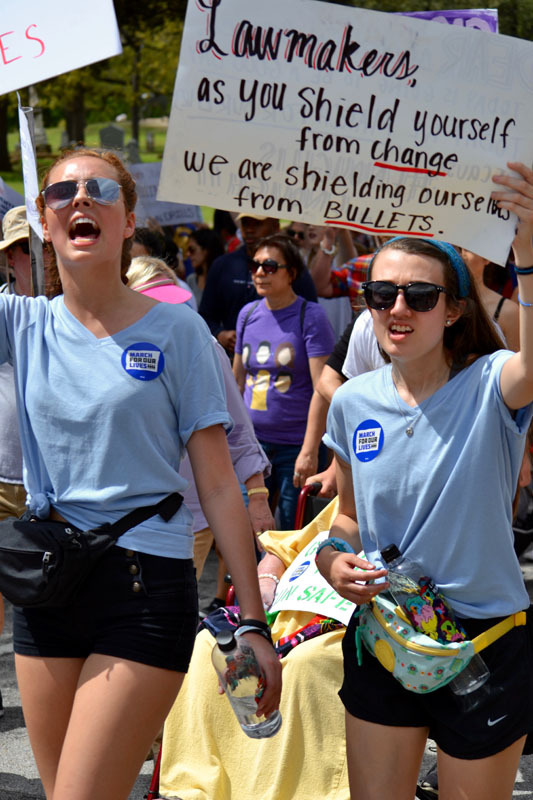 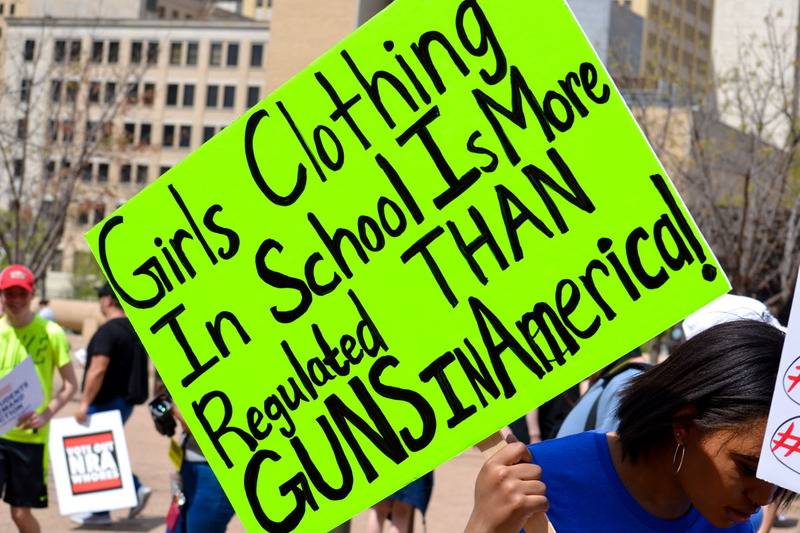 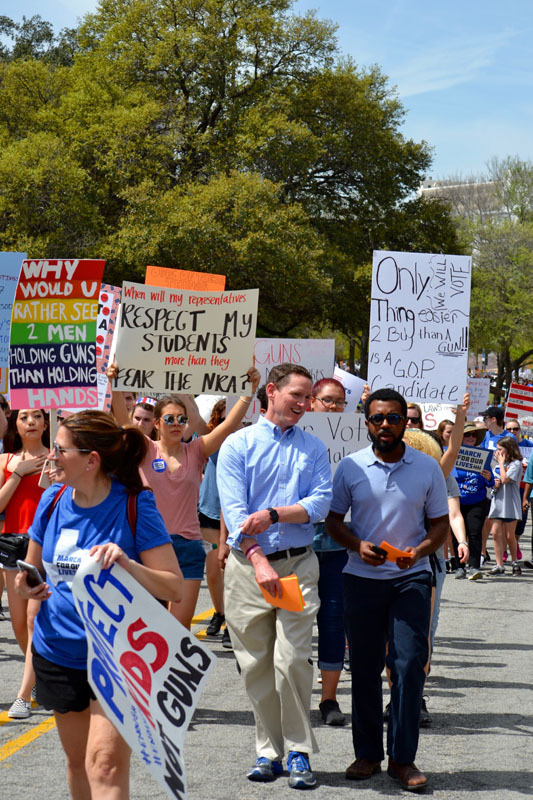 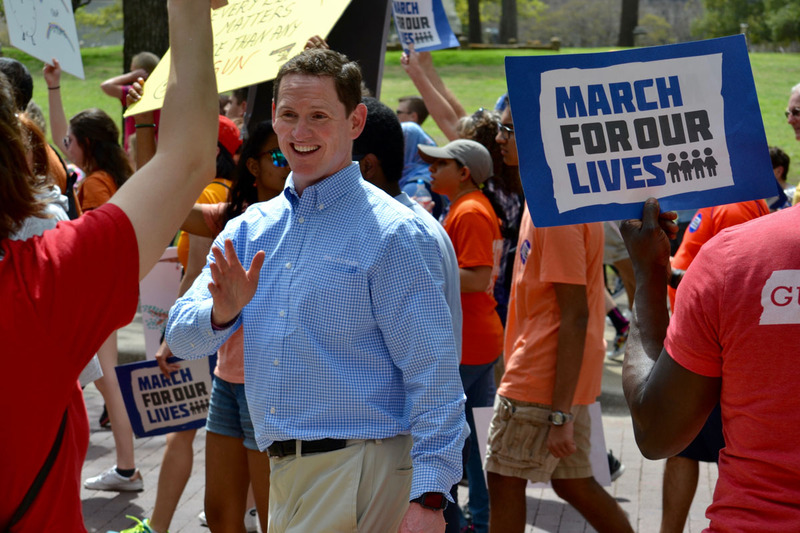 Last week, in advance of Dallas’ March For Our Lives event — one of 800 or so similar events taking place across the country nearly simultaneously on Saturday — the student organizers behind the combined rally and march said they anticipated 3,000 or so attendees coming out to show support for their cries for stricter gun control laws. 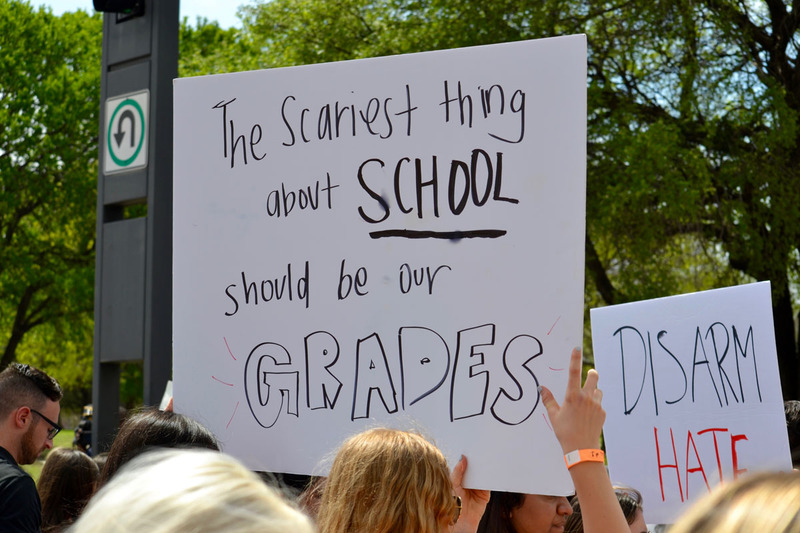 Turns out, those students underestimated themselves. 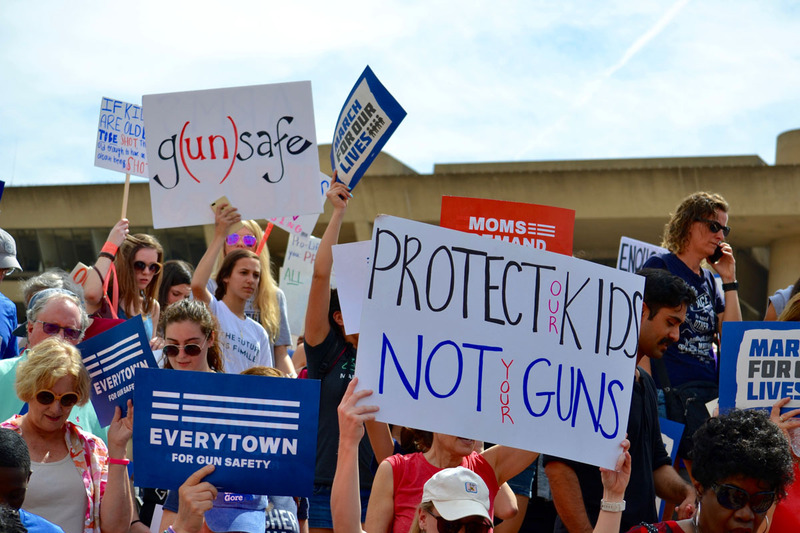 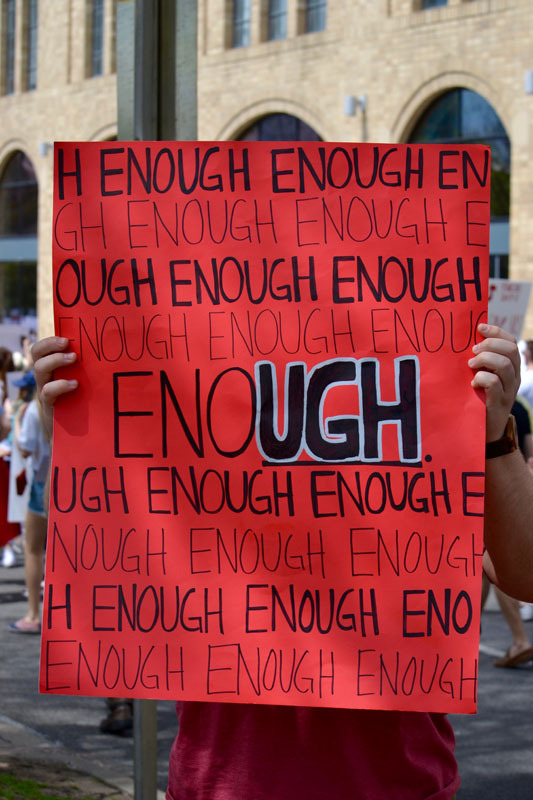 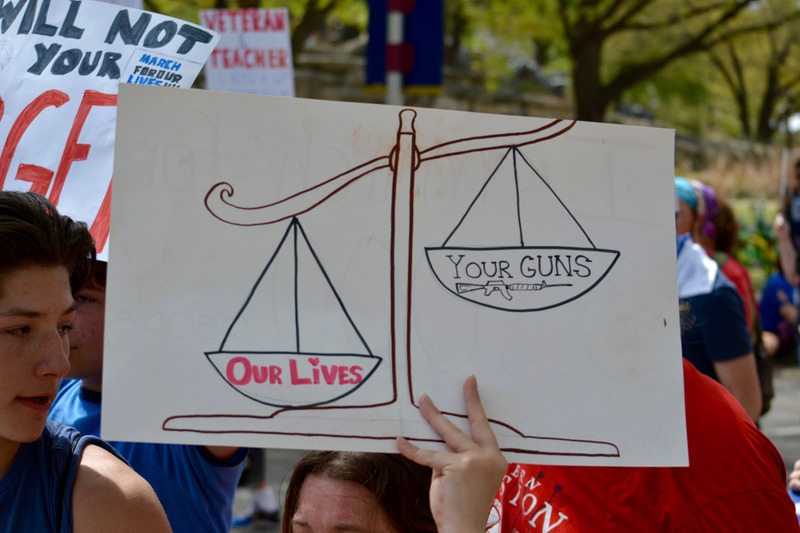 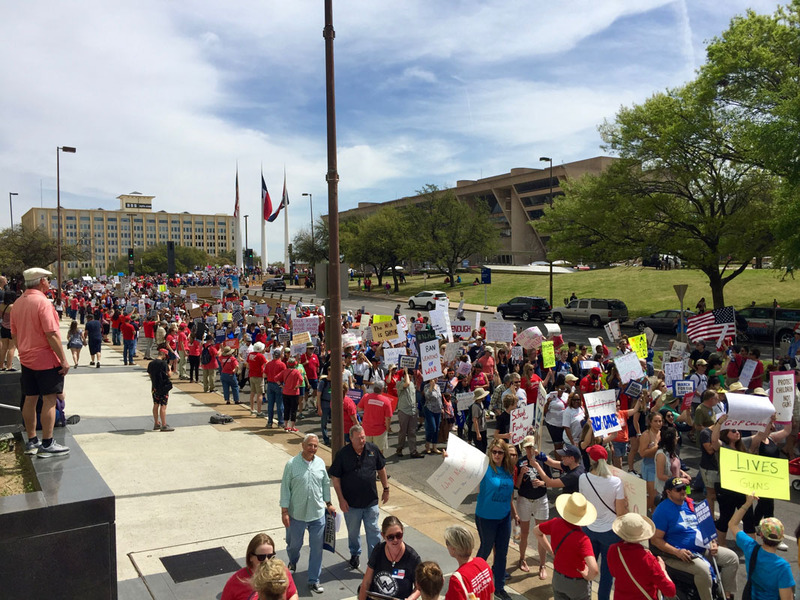 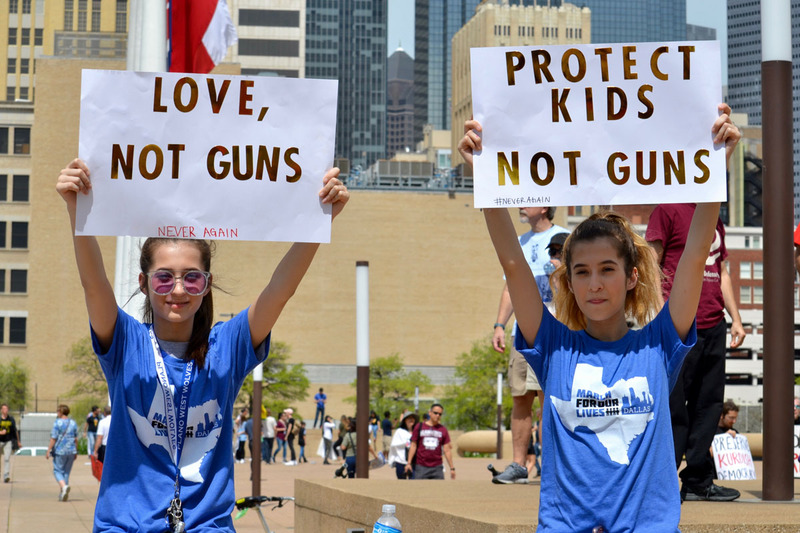 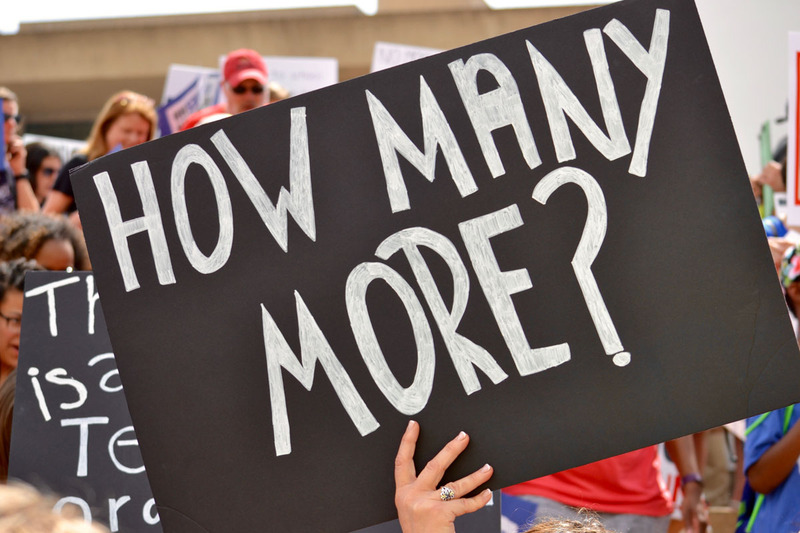 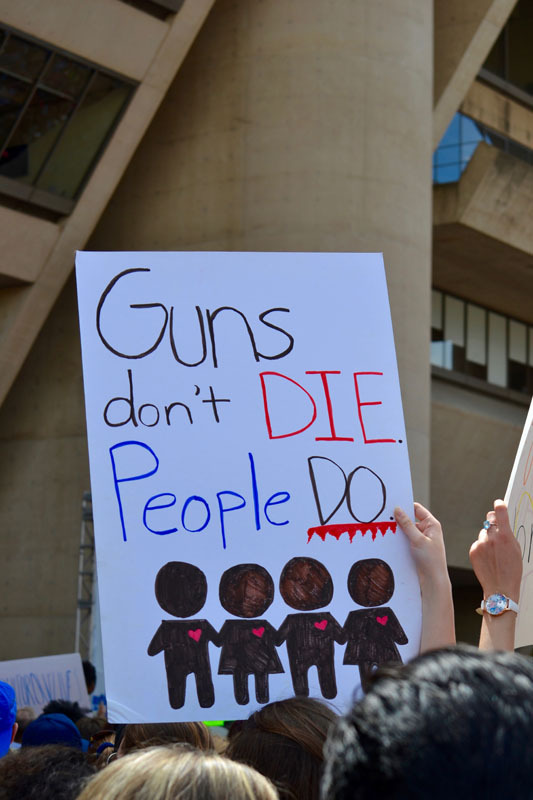 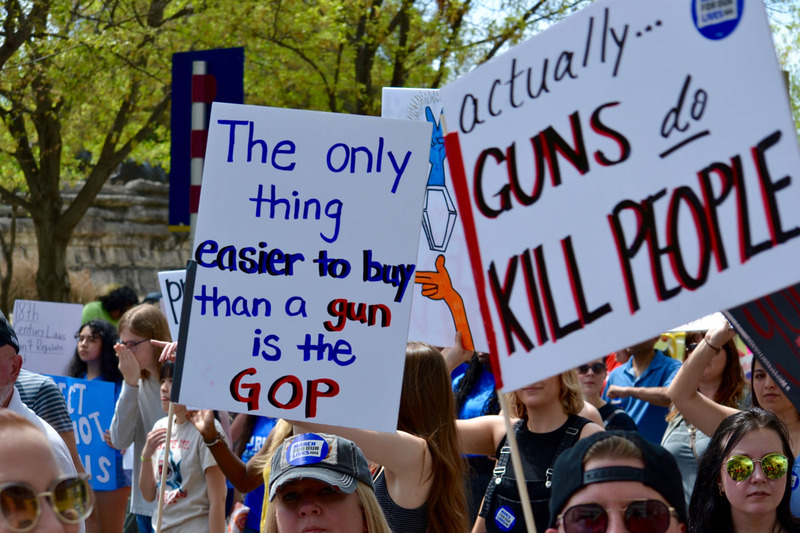 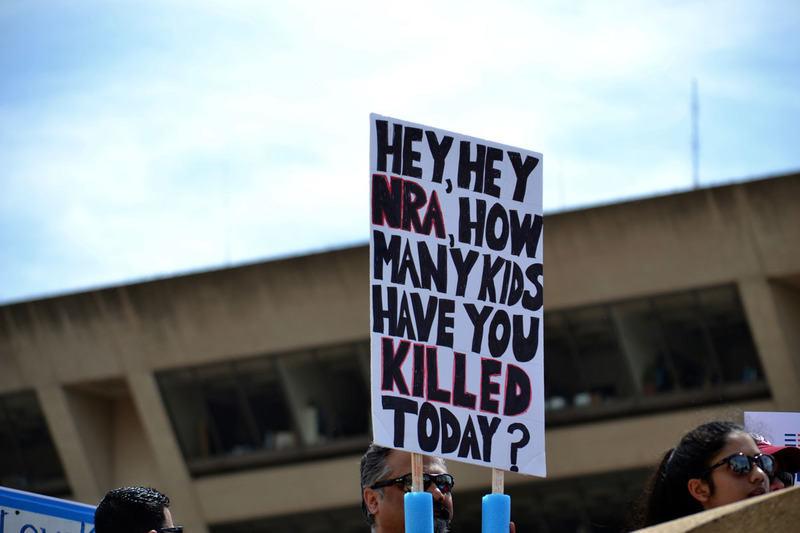 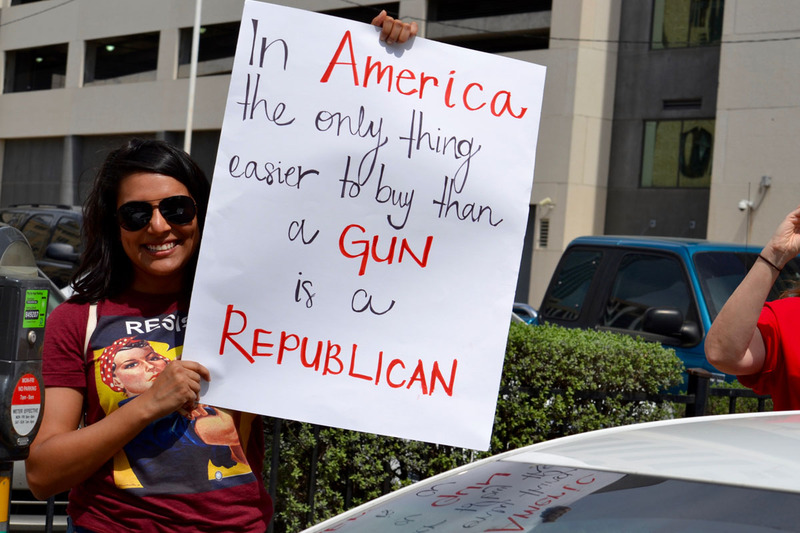 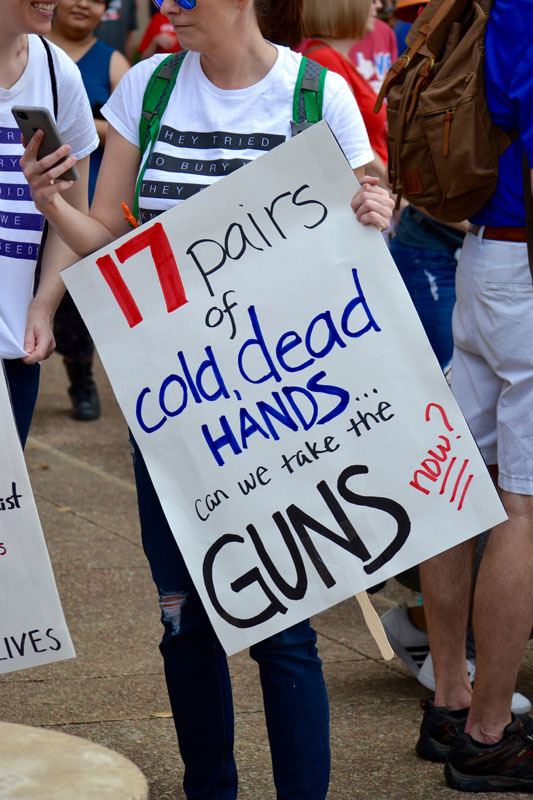 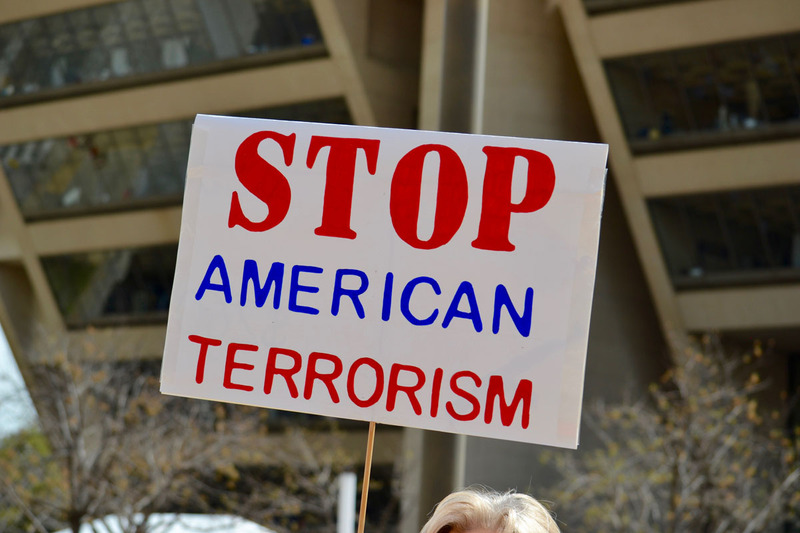 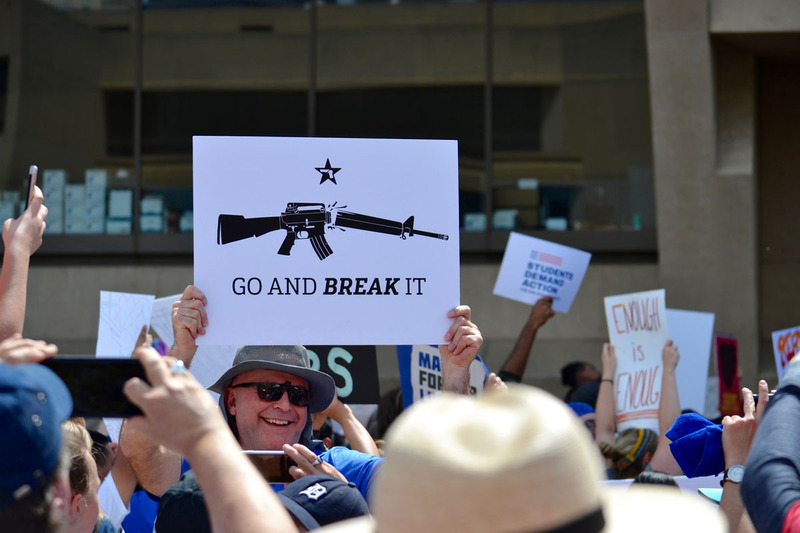 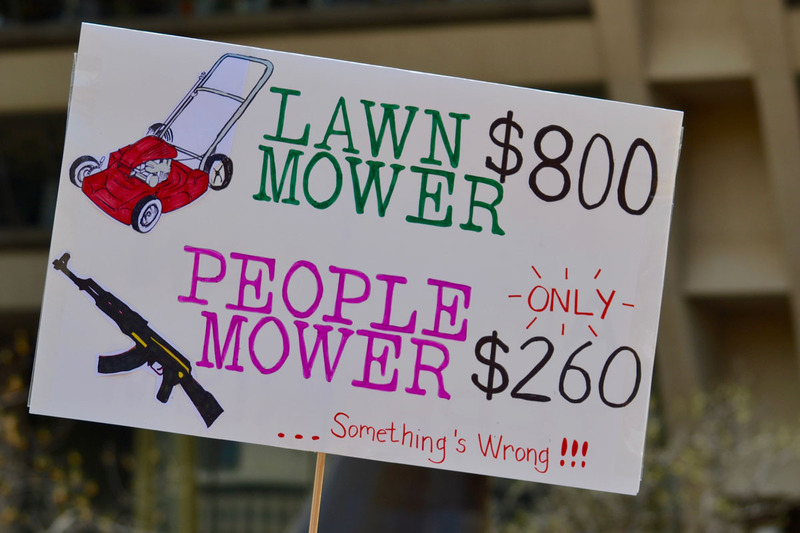 The Dallas Police Department estimates that somewhere between 4,000 and 5,000 people attended Saturday afternoon’s Dallas City Hall-centered event, during which area youth railed against local, state and national representatives for not taking greater steps toward instituting what speakers called “common sense” gun laws. 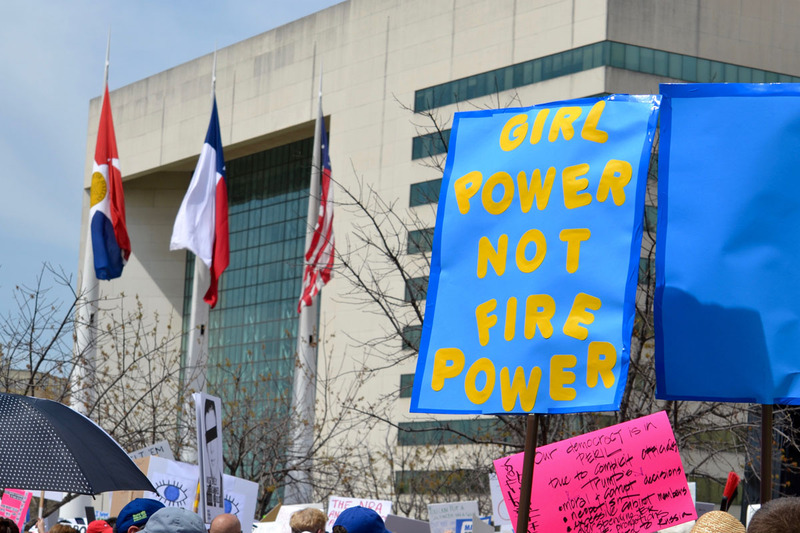 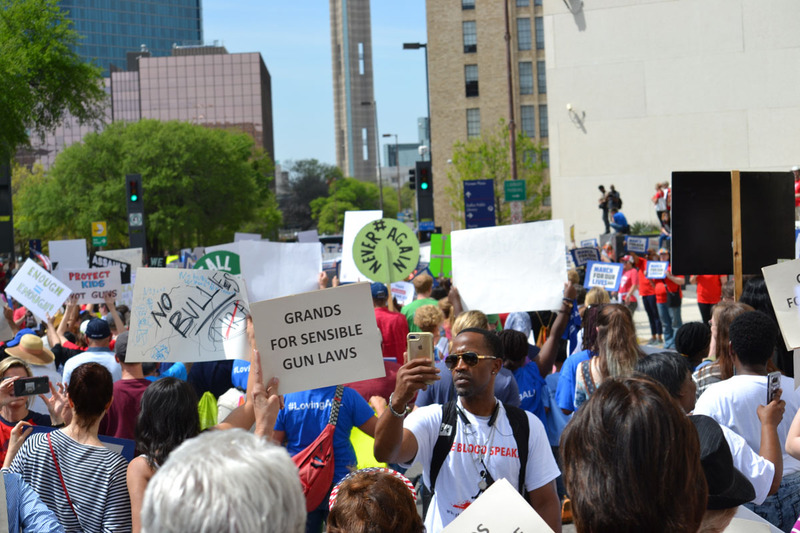 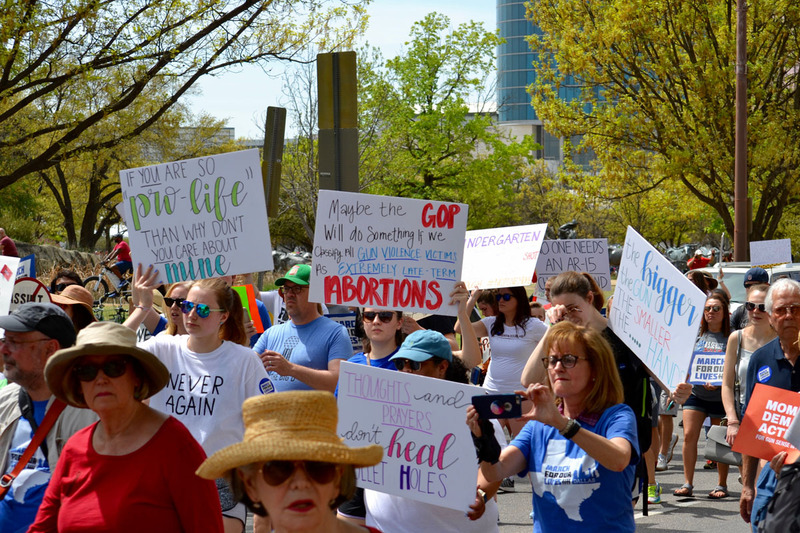 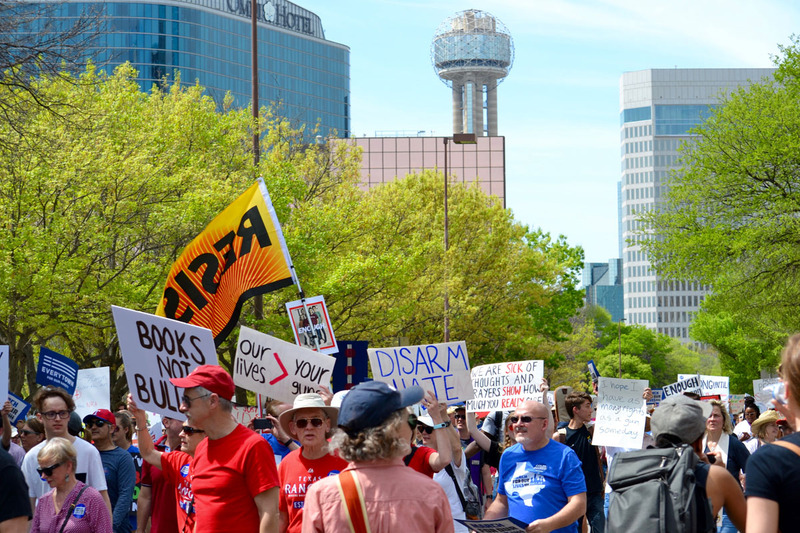 It made for a stunning visual, that’s for sure, as the crowds made their way along Young Street and then down toward the Kay Bailey Hutchison Convention Center before looping back toward City Hall Plaza. 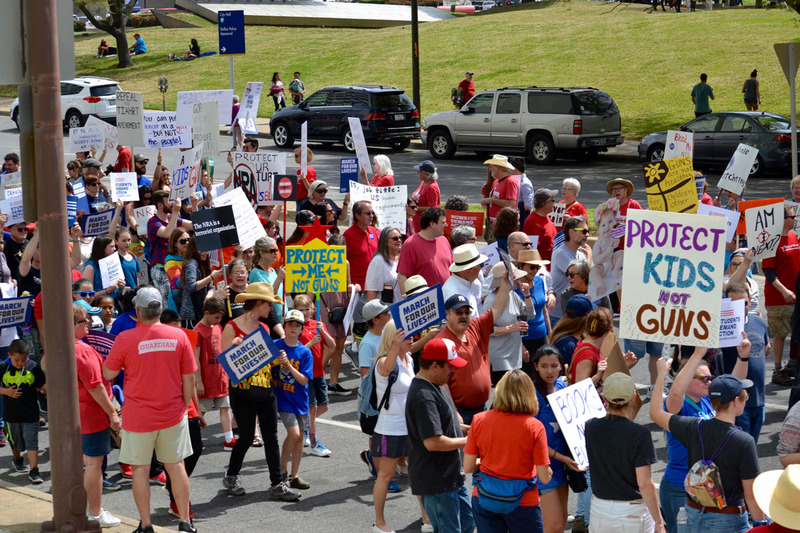 Standing in a single spot along the sidewalk, it took almost 30 minutes for the masses to fully pass by. 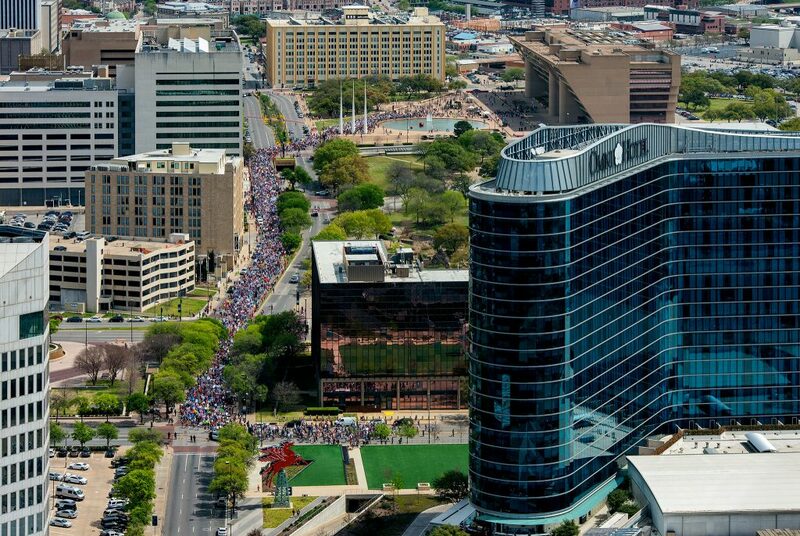 Photo by Justin Terveen, taken from Reunion Tower. 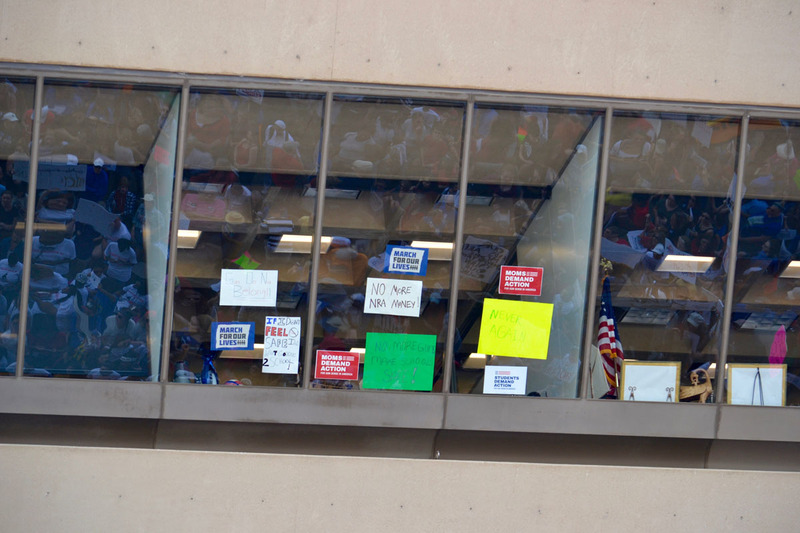 Impressive as that showing may have been, though, what followed back at City Hall Plaza was even more so. 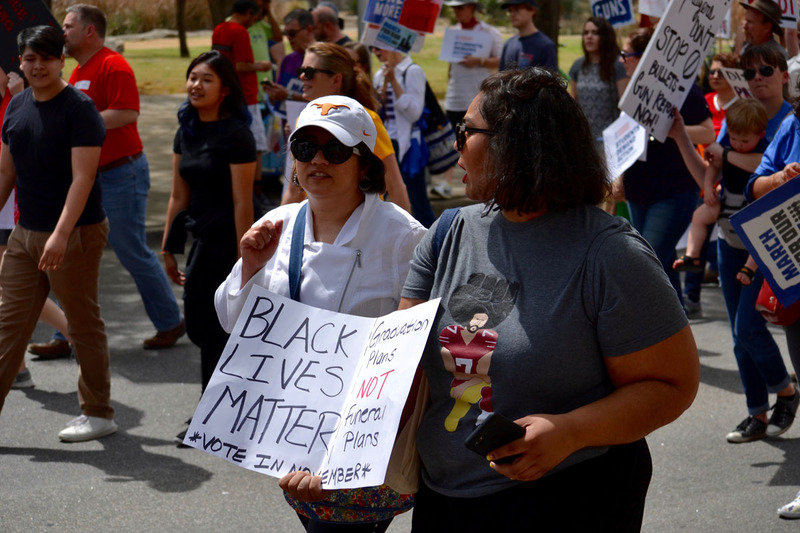 There, catchy group chants gave way to impassioned personal pleas. 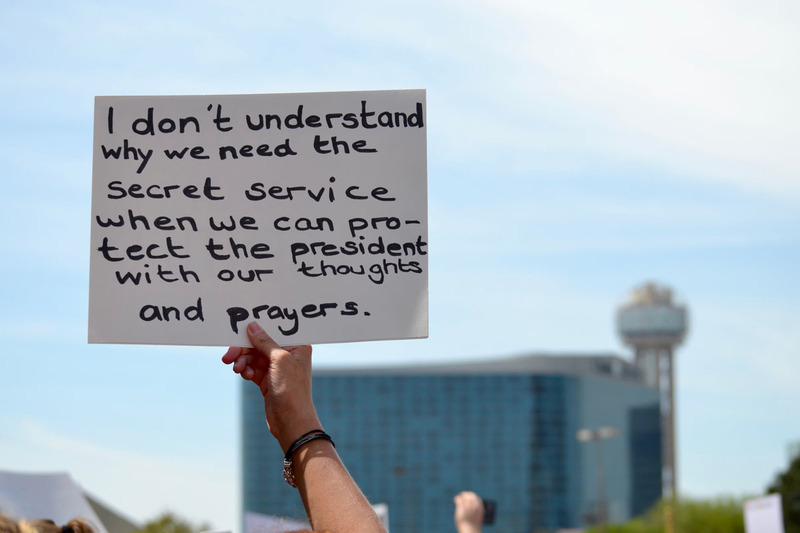 It was an inspiring scene, for sure. 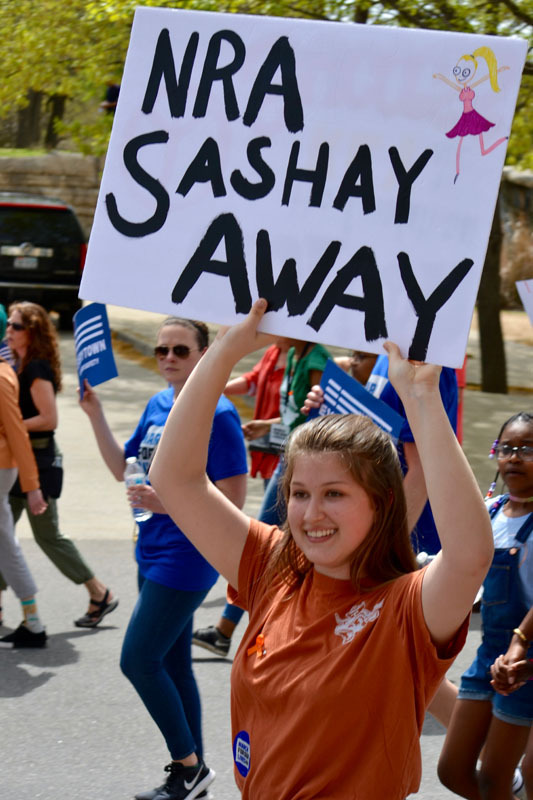 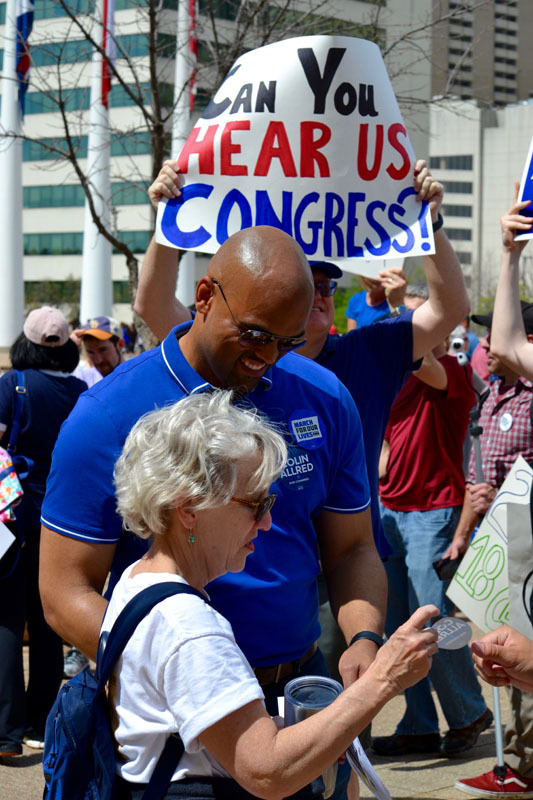 While a fair share of politicians may have attended the event — Dallas County Judge Clay Jenkins and District 32 congressional candidate Colin Allred were among those spotted in the crowd — the speakers who stepped to the microphone on the stage set up in the shadow of Dallas City Hall were hardly seasoned pros. 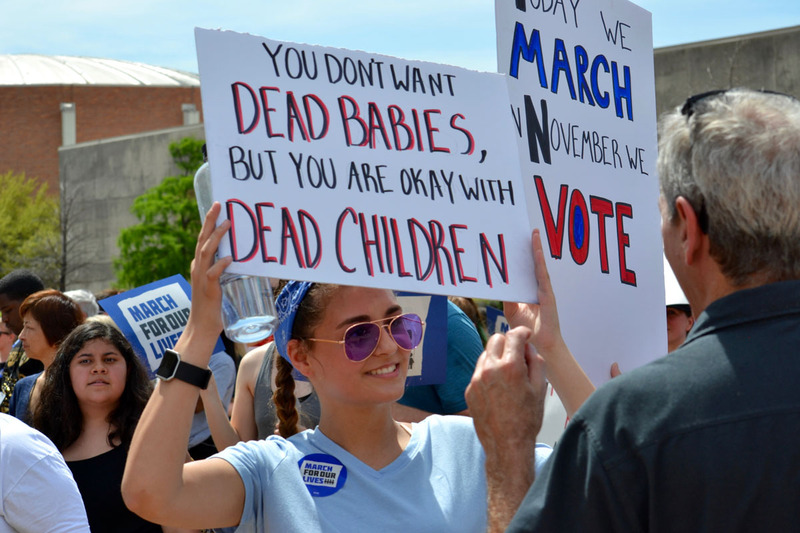 Still, they impressed with their poise and rhetoric, which largely centered around the notions of registering their fellow young people to vote, committing to fighting this battle beyond this rally and believing that the shouts of their unified movement can indeed be heard above the signatures on checks from some well-funded lobbies. 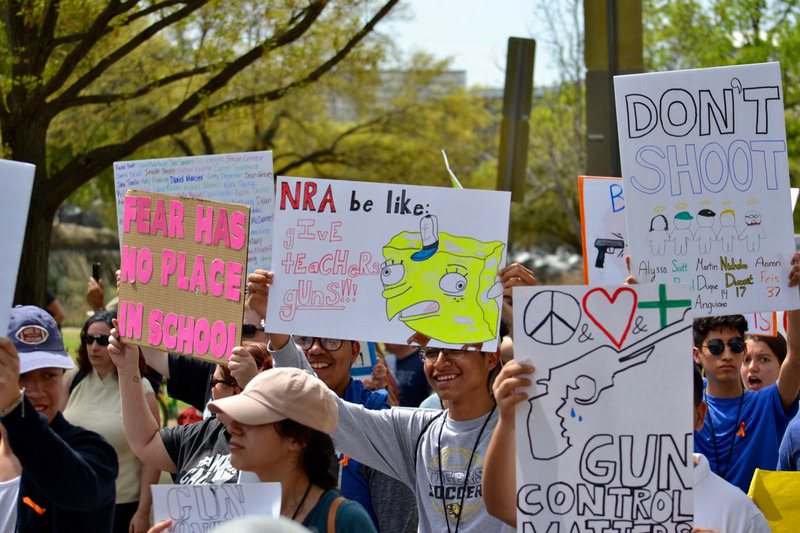 For as much as social media is blamed for poisoning our collective minds, it would appear as if social networking has done these young people some good. 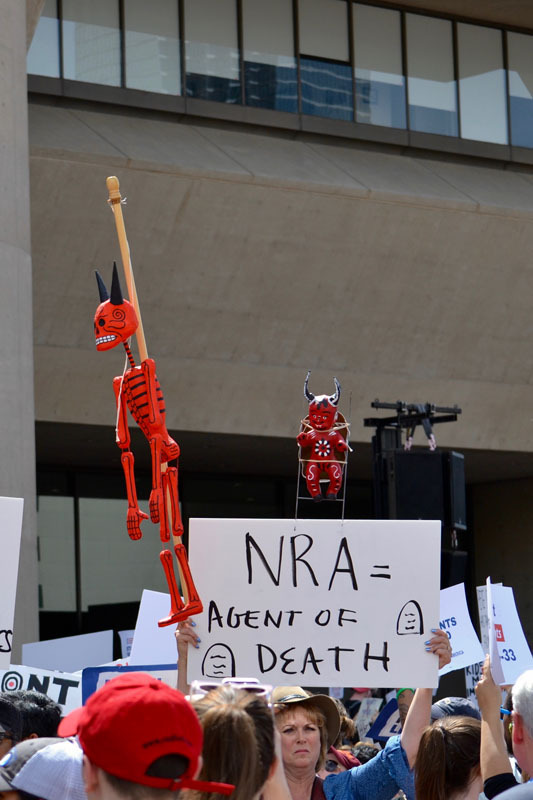 The speakers, long accustomed to directly addressing their online followers, were confident and mostly concise in their deliveries. 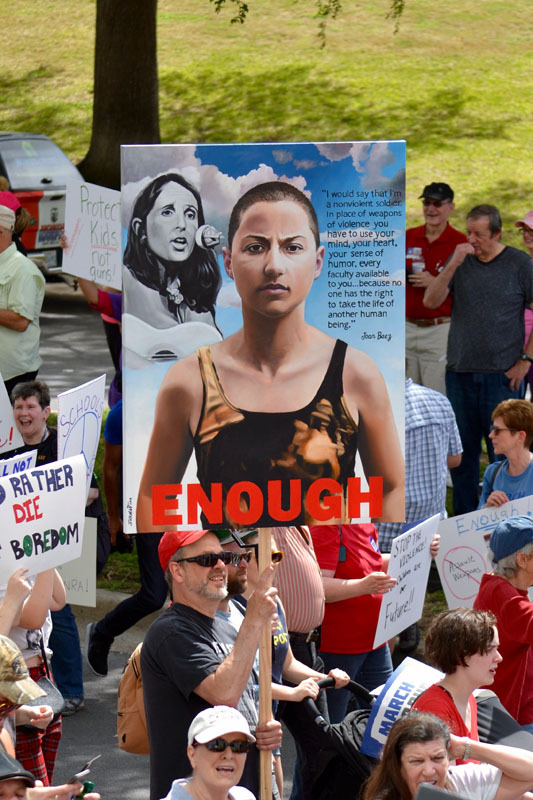 Those out in the crowd, meanwhile, showed a keen understanding of visual communication, what with their many meme-referencing signs. 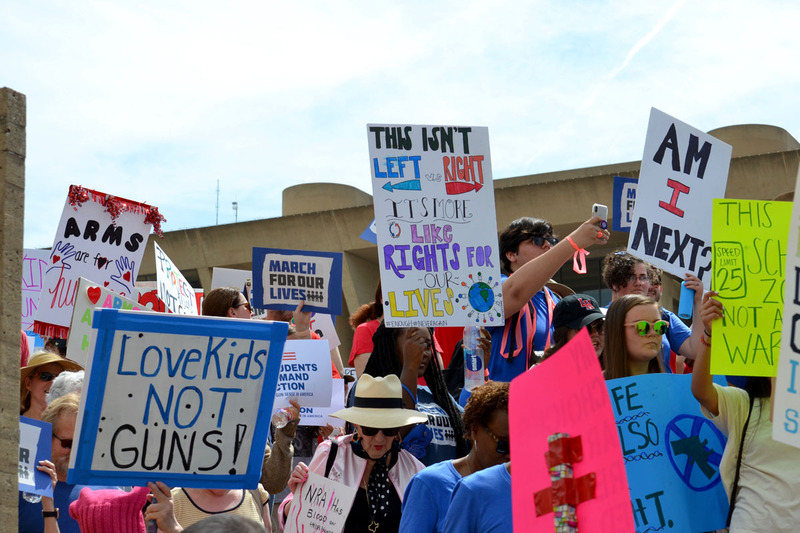 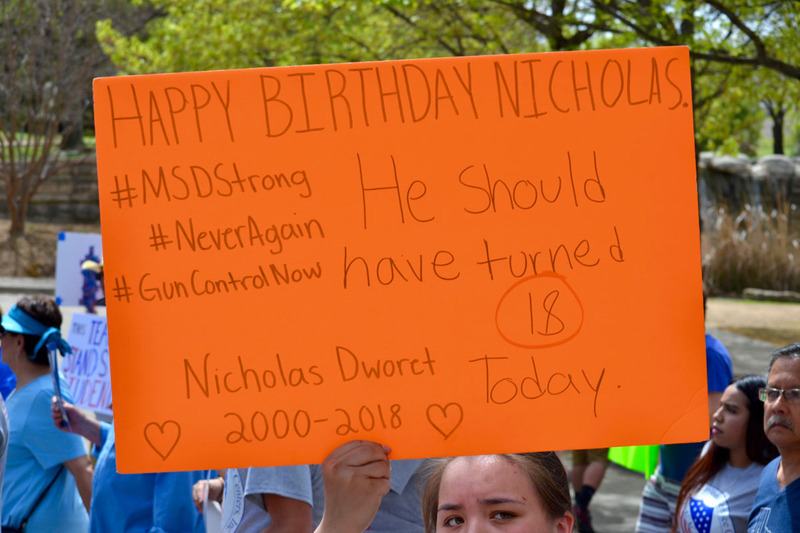 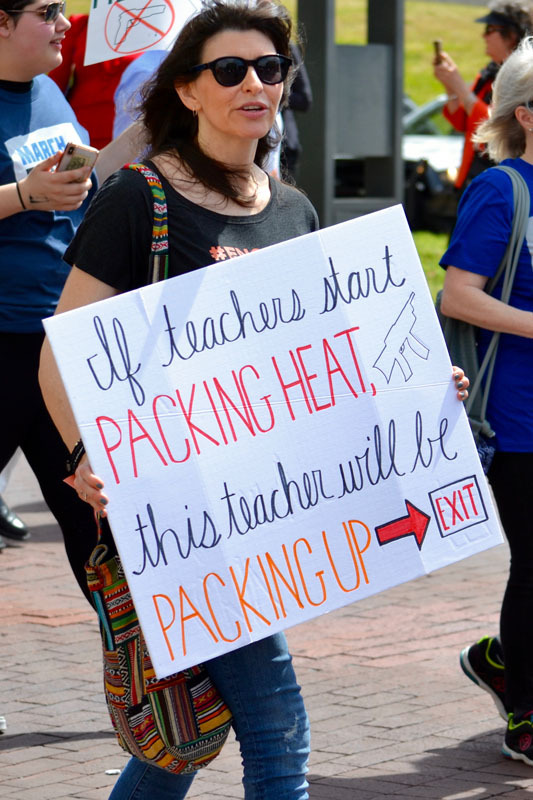 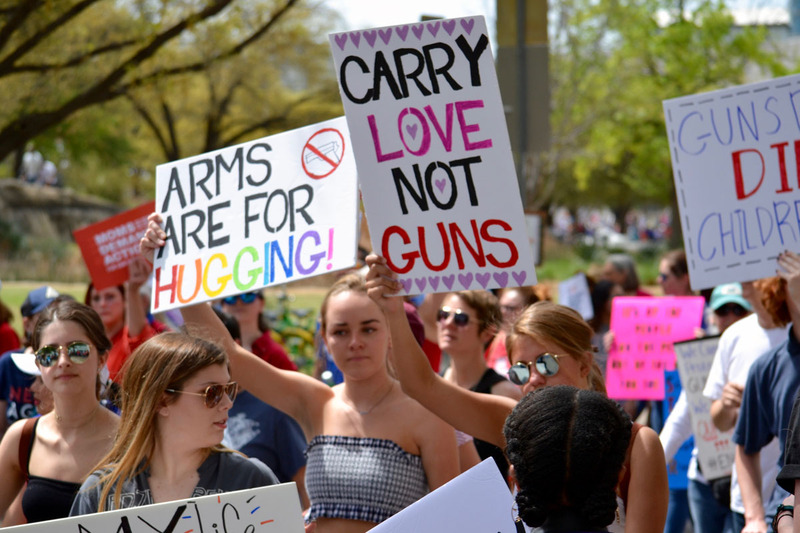 Though they repeatedly referenced the Marjory Stoneman Douglas High School students in Parkland who helped spark this movement as inspiring them to get involved, the pride shown for the schools of the afternoon’s speakers was also palpable. 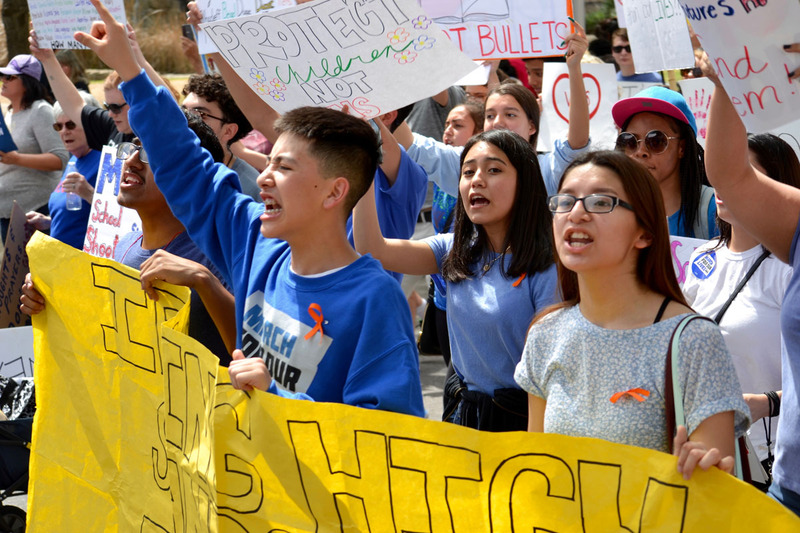 Upon introducing themselves to the crowd, each speaker would mention which area high school or college they currently attended — and, each time, pockets of other students from that school would charmingly yell their support for their classmate up on stage. 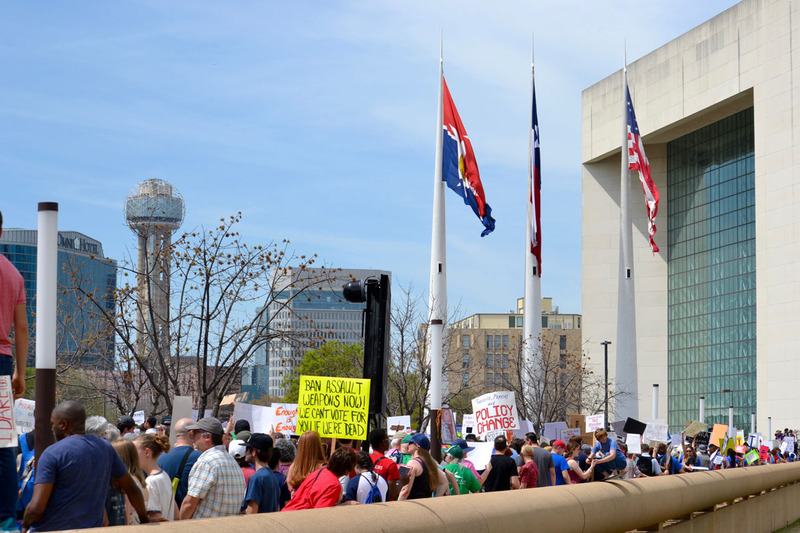 More supportive than most gatherings of this sort, Saturday was also among the better organized such effort seen in Dallas in some time, with a clear structure in place for the overall proceedings and, as opposed to the standard microphone free-for-all often seen at area rallies, a clear schedule in place for speakers. 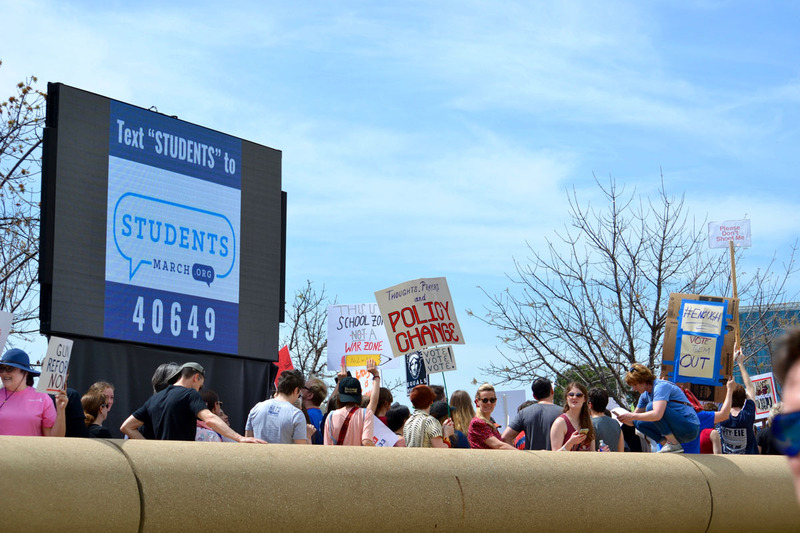 “Every great activist started out as what we are today — as students,” said Waed Alhayek, one of the day’s organizers, when her turn on the microphone came. 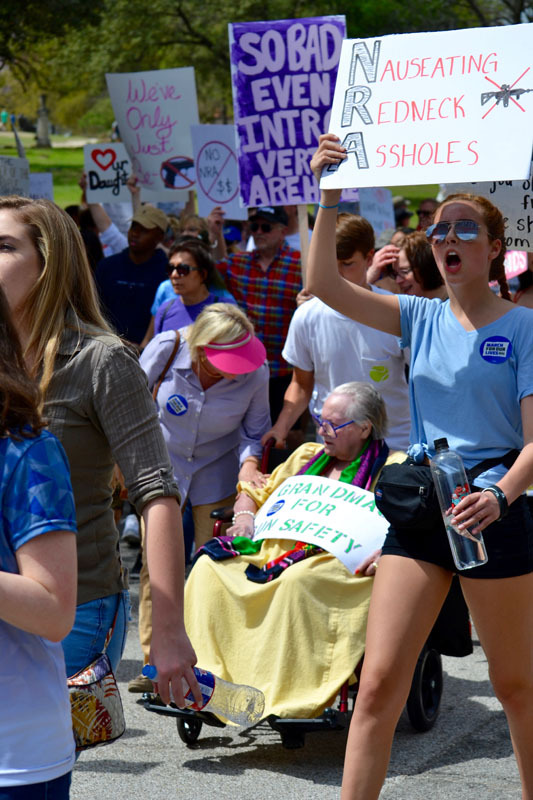 What she and her peers perhaps failed to realize was that they were already proving their own greatness. 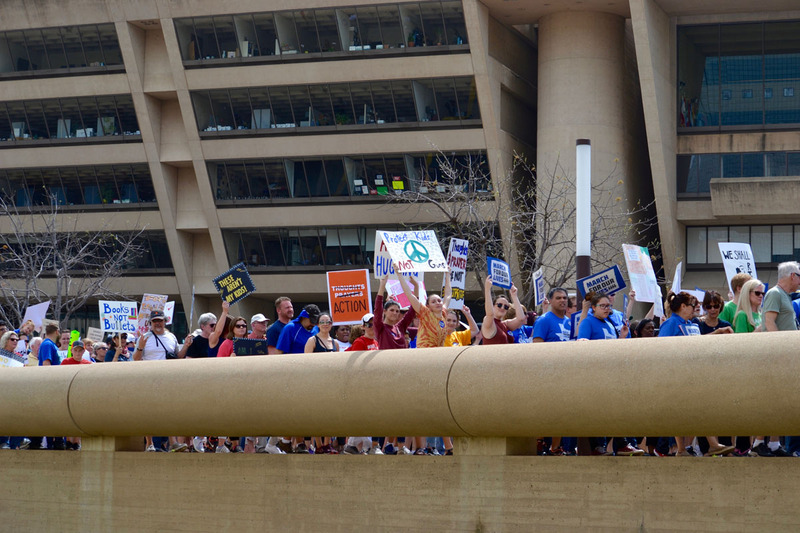 One theme of the afternoon was speakers imploring those out in the crowd with activist experience to help them out at future events — like, for instance, the next school walkout slated for April 20, or perhaps with counter-protests for when the National Rifle Association holds its annual meetings in Downtown Dallas in early May. 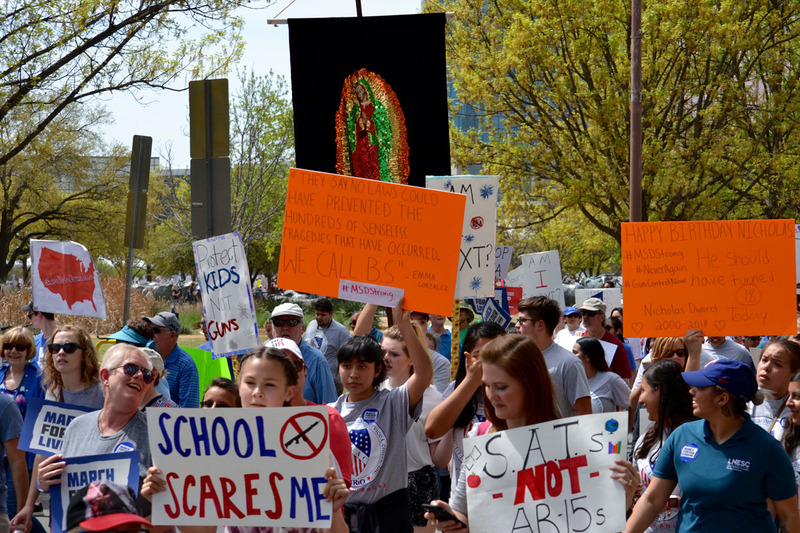 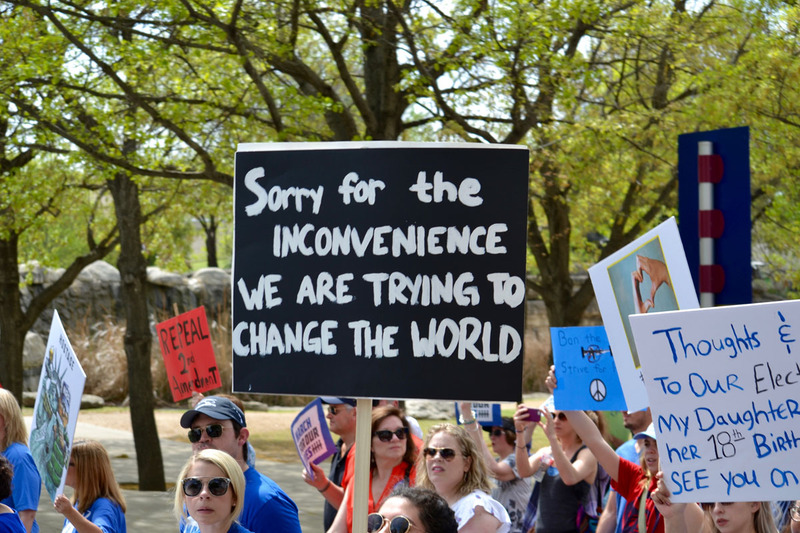 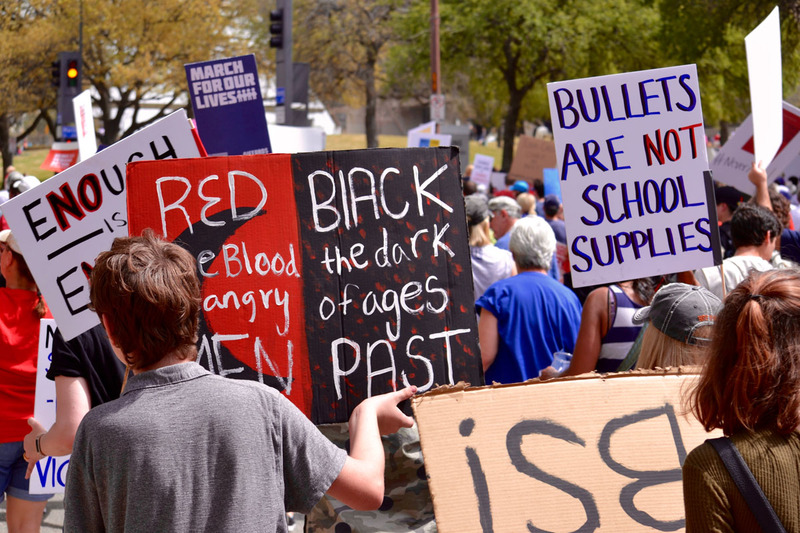 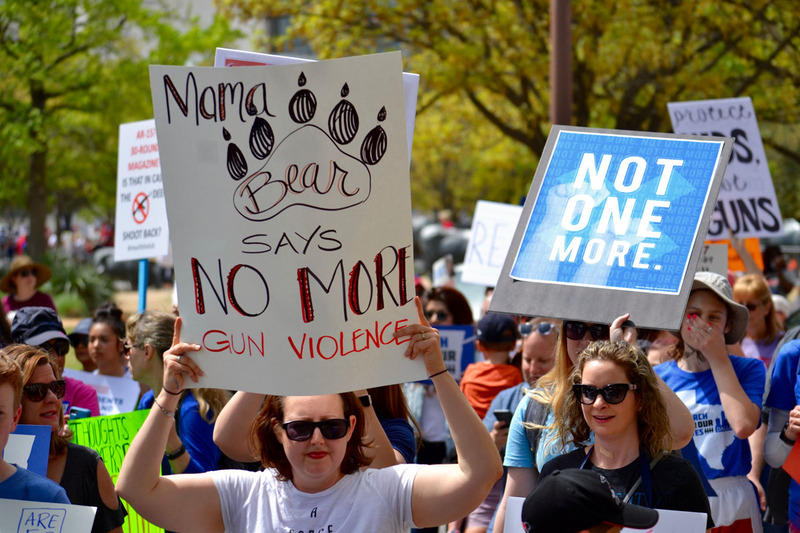 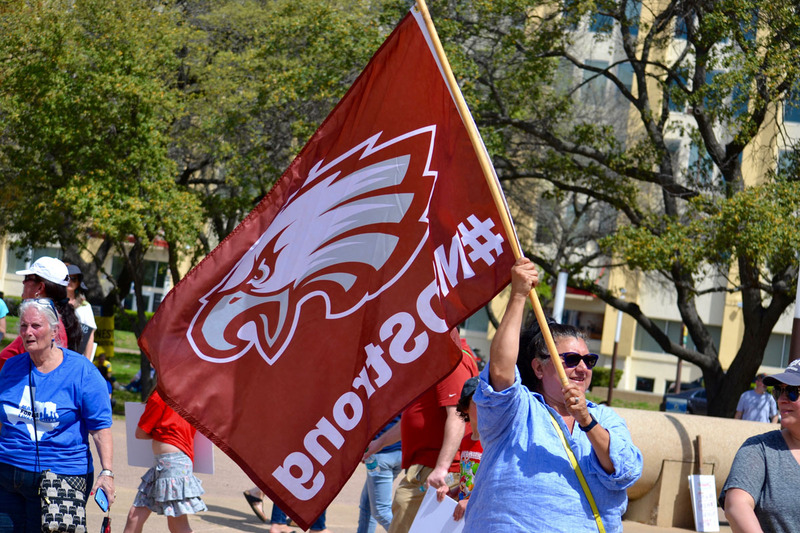 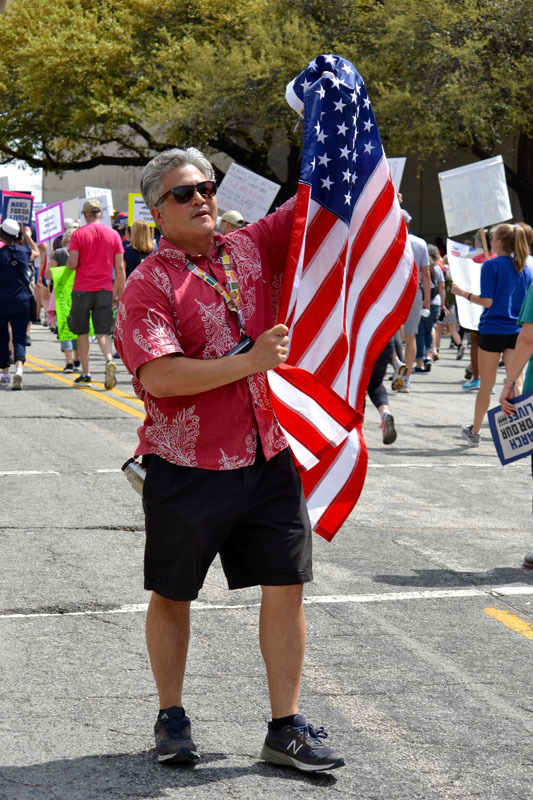 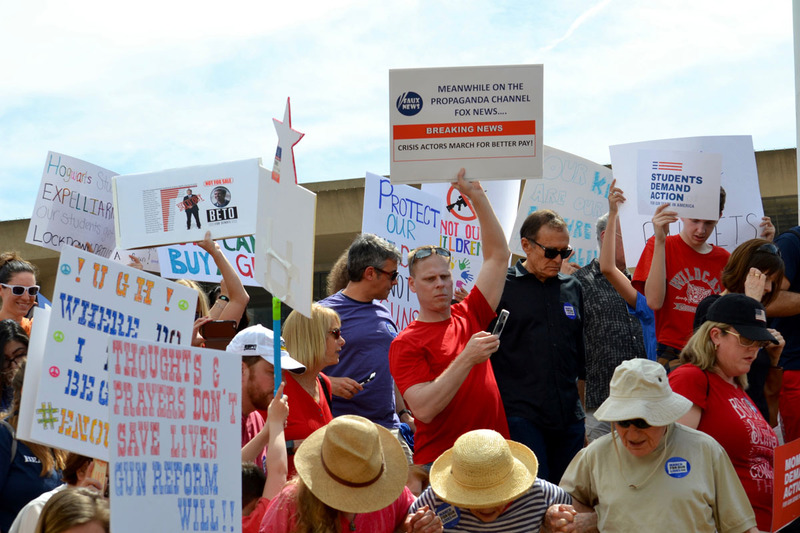 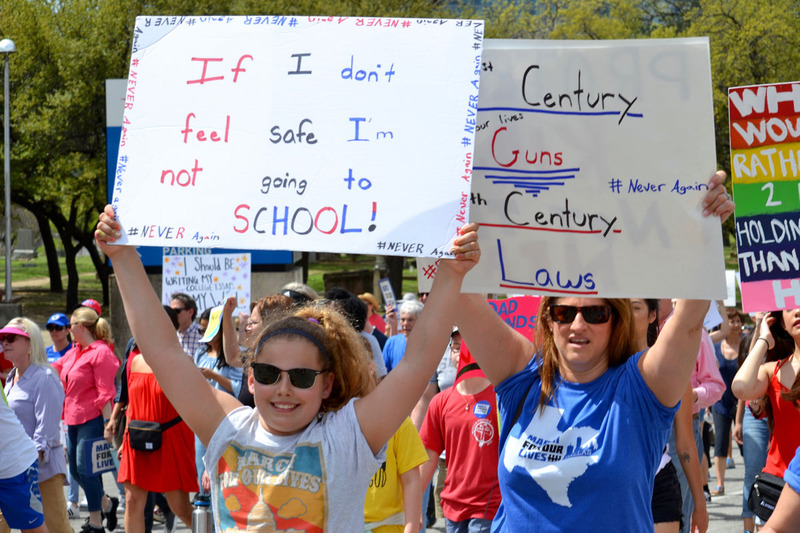 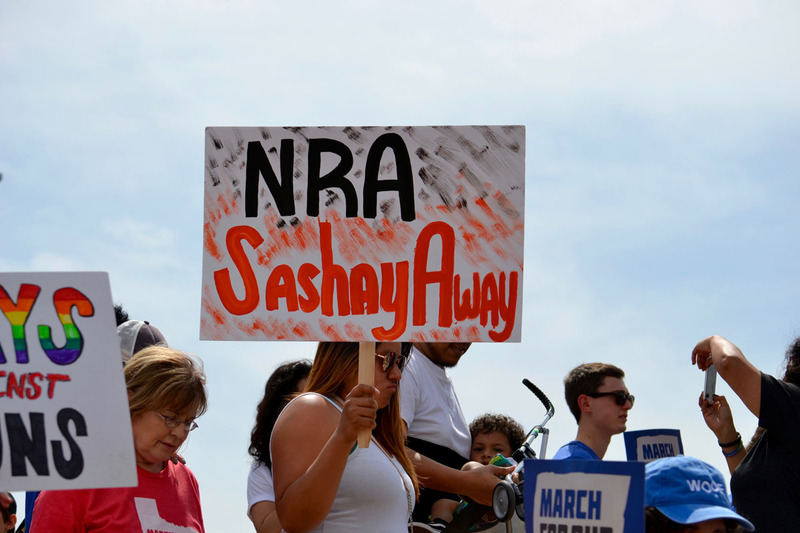 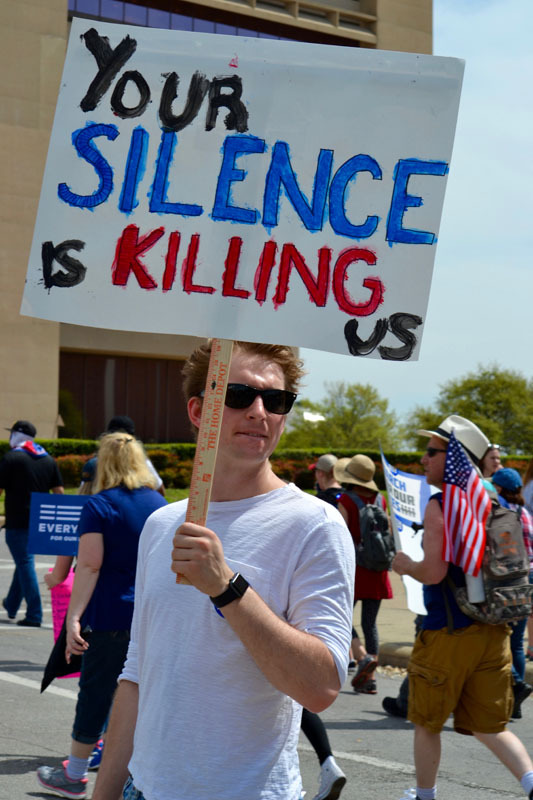 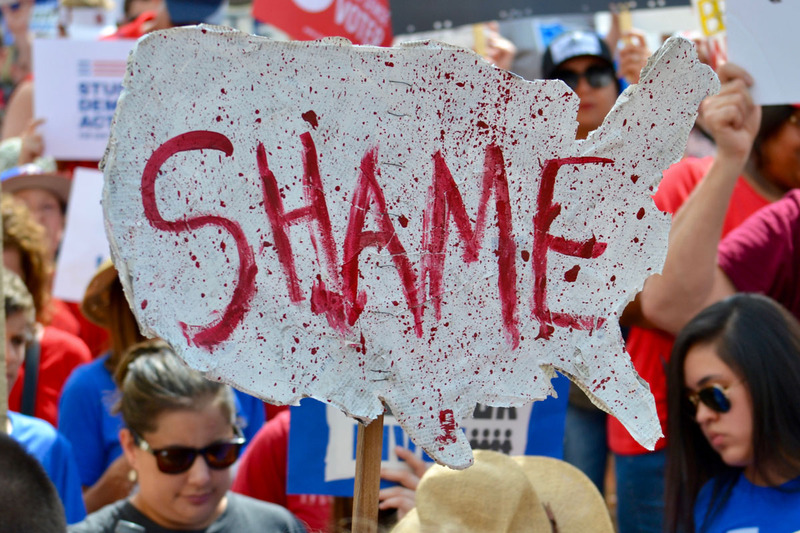 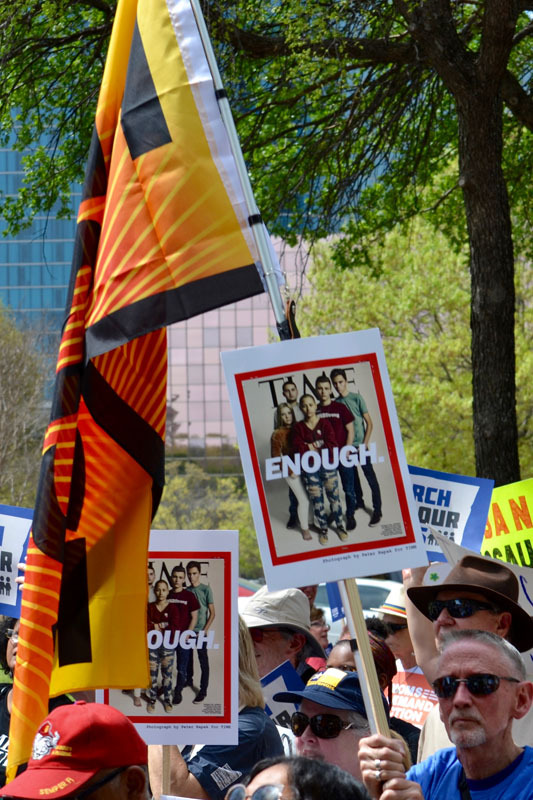 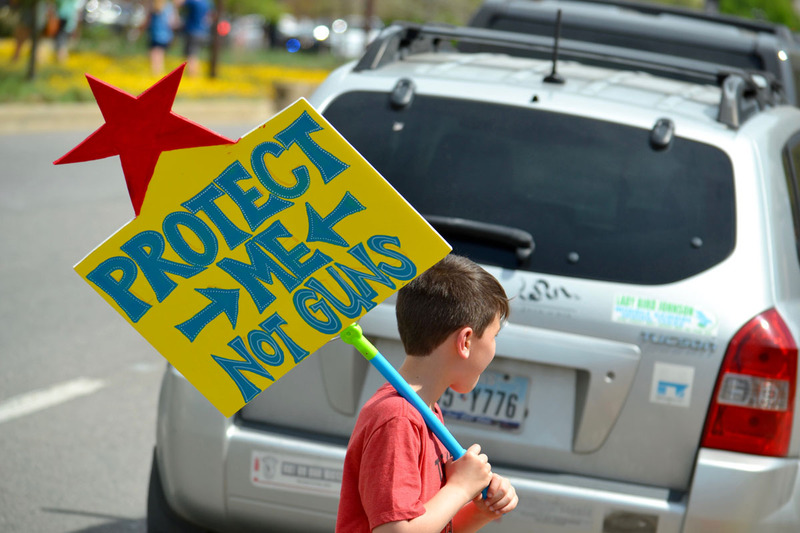 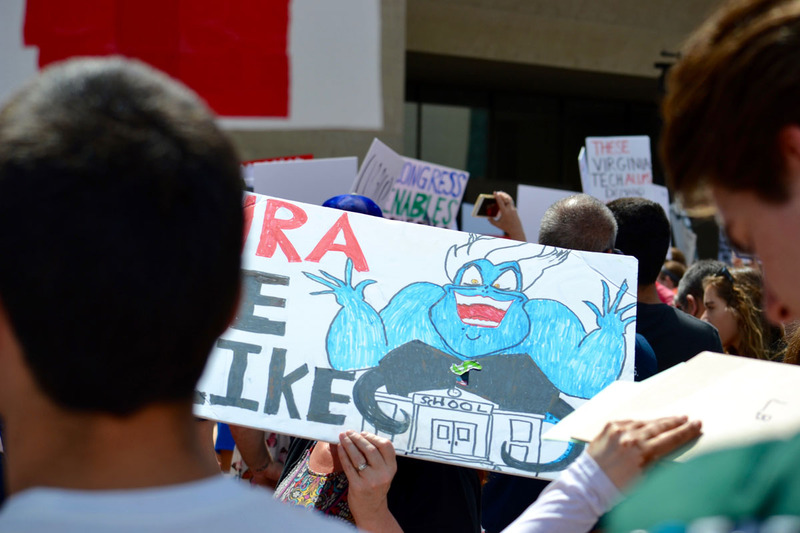 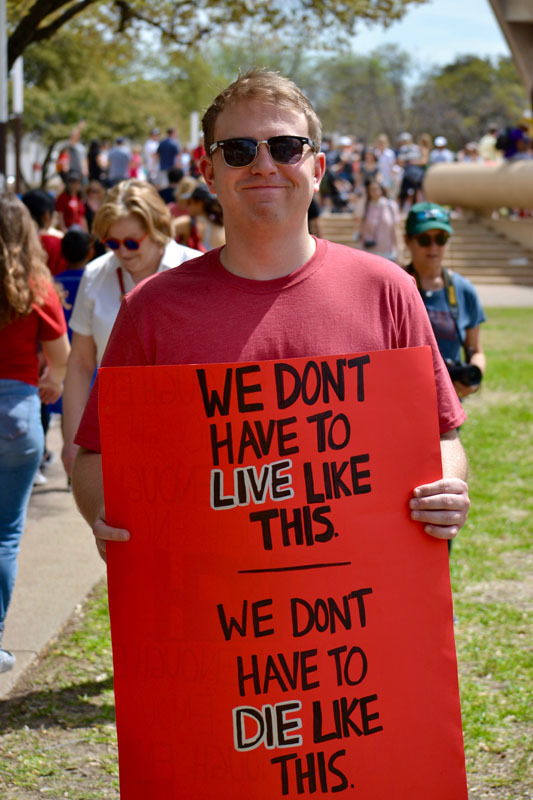 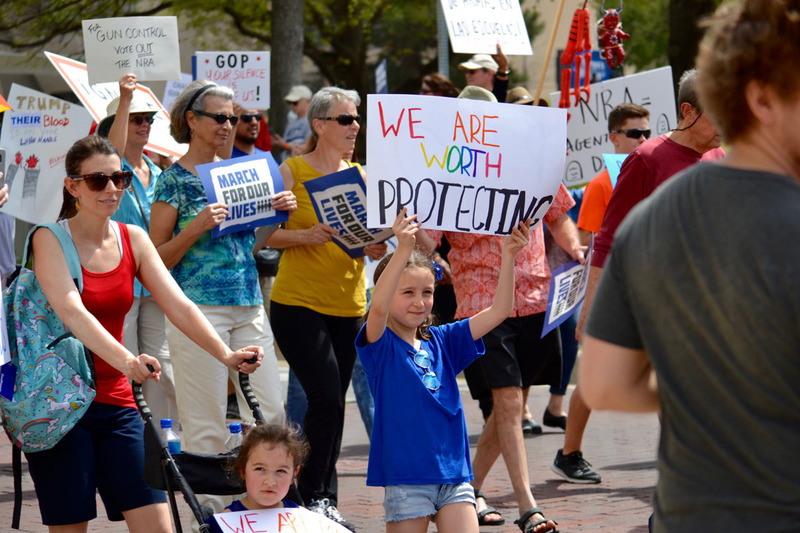 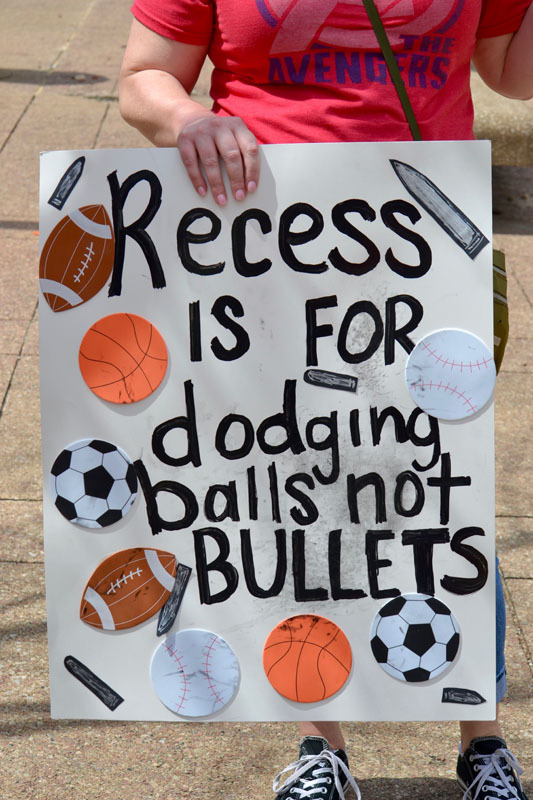 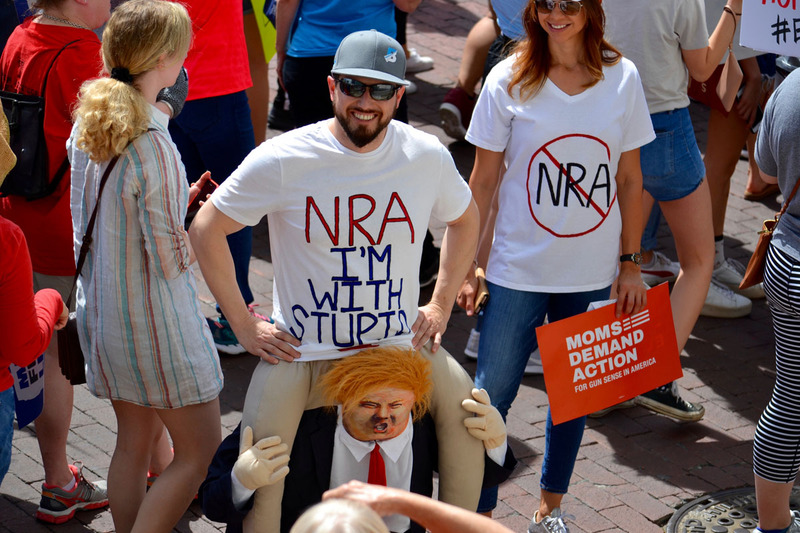 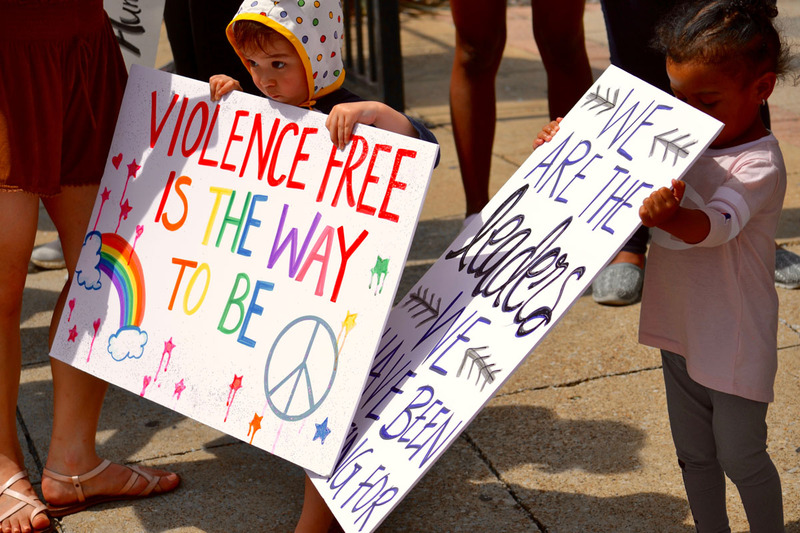 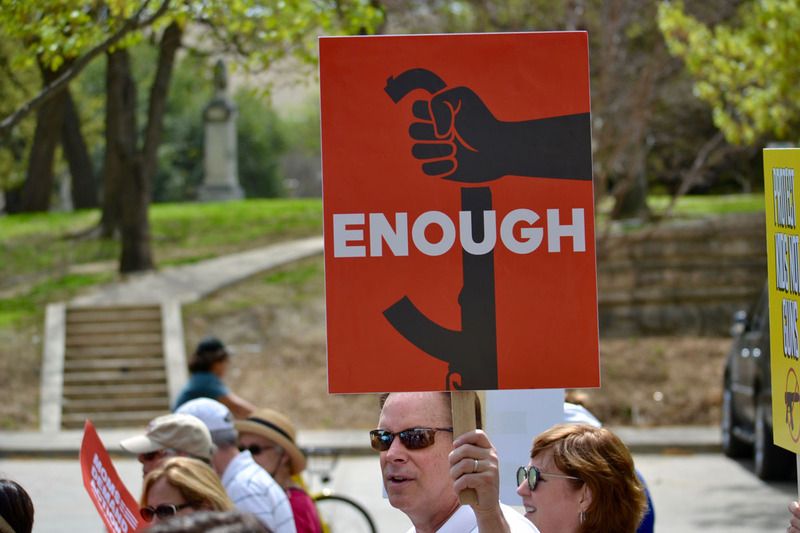 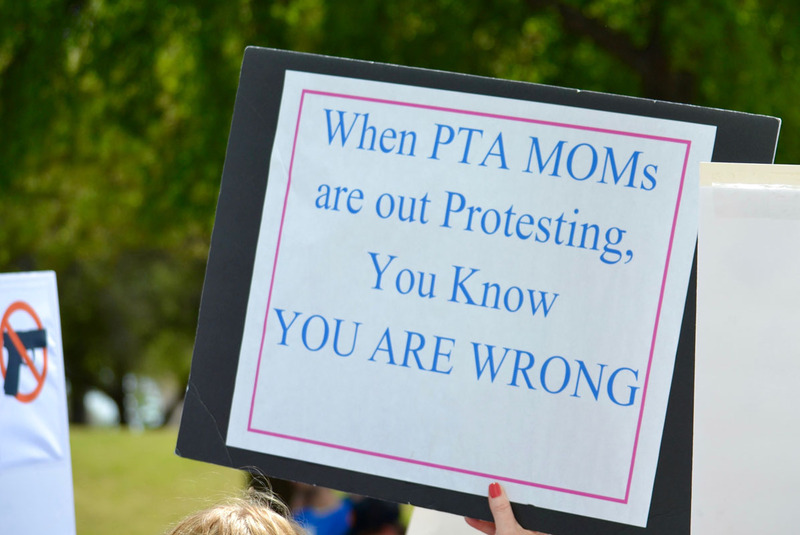 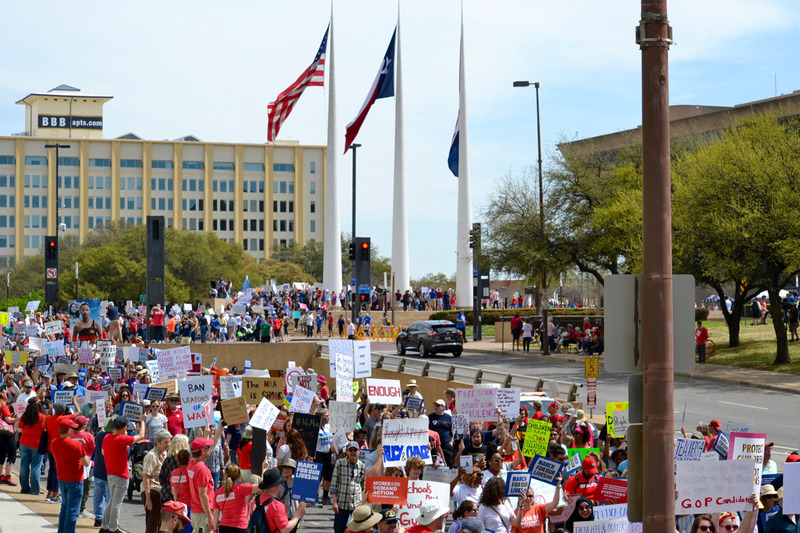 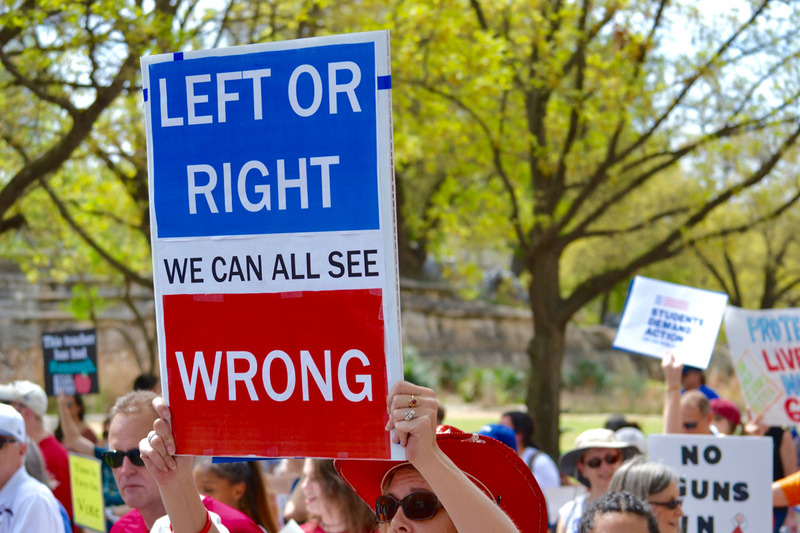 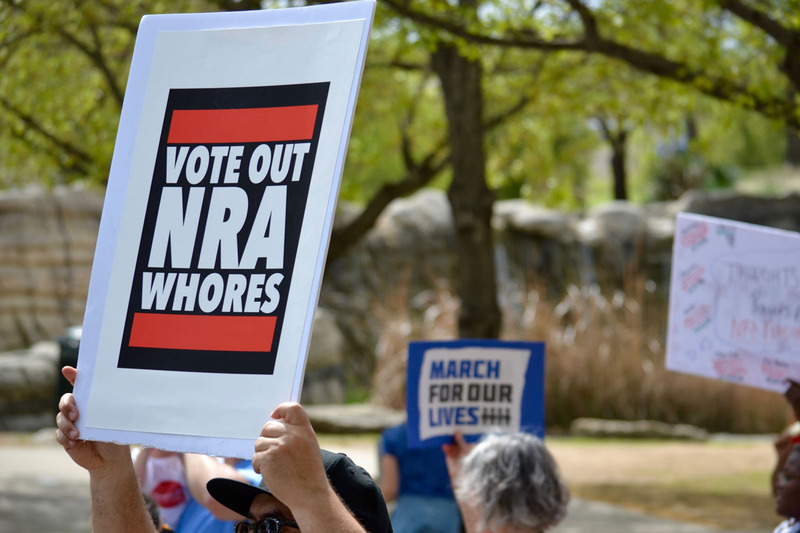 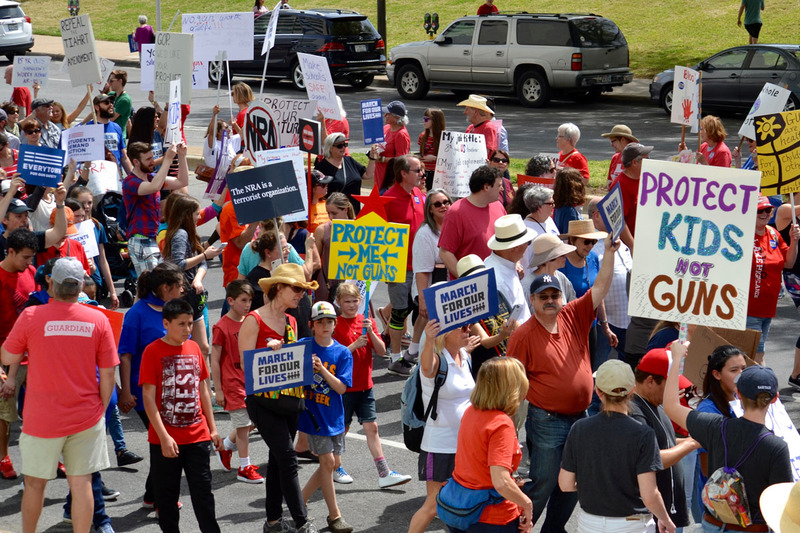 But, down to respectfully ignoring of the handful of counter-protesters who showed up alongside Saturday’s parade route, it’s unclear just how much Dallas’ March For Our Lives could’ve been improved upon. 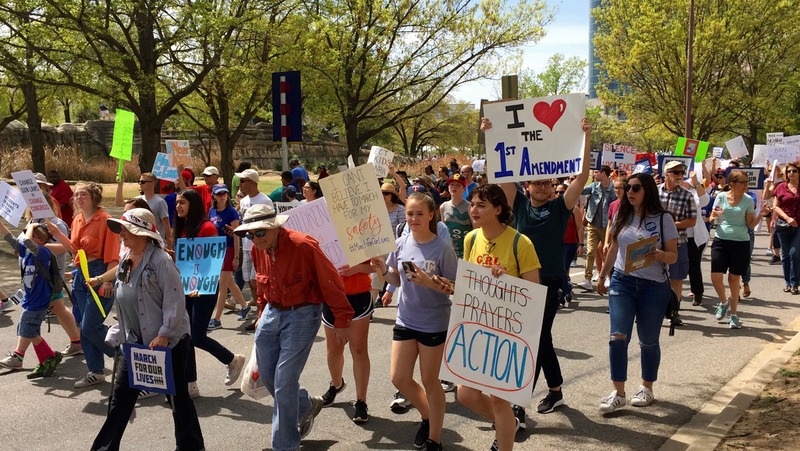 In these students’ hands, the future — of protests, of politics, of our country — looks pretty bright, indeed. 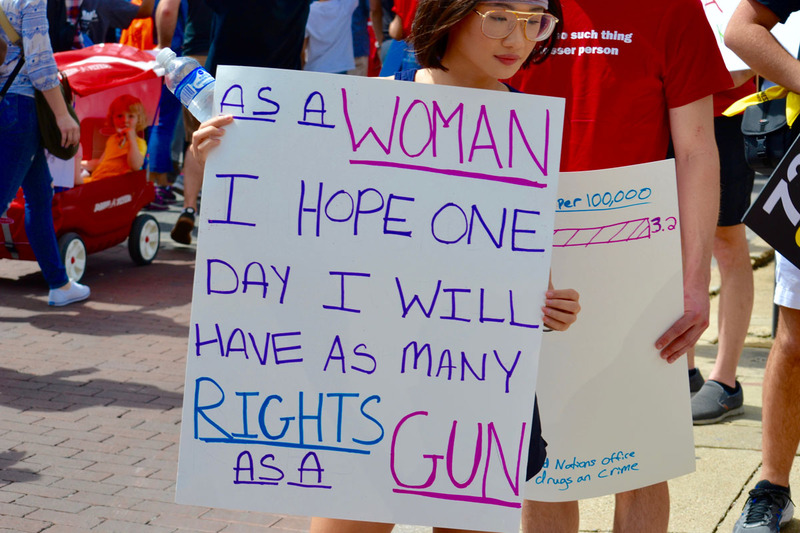 Really: God help anyone who would dare. 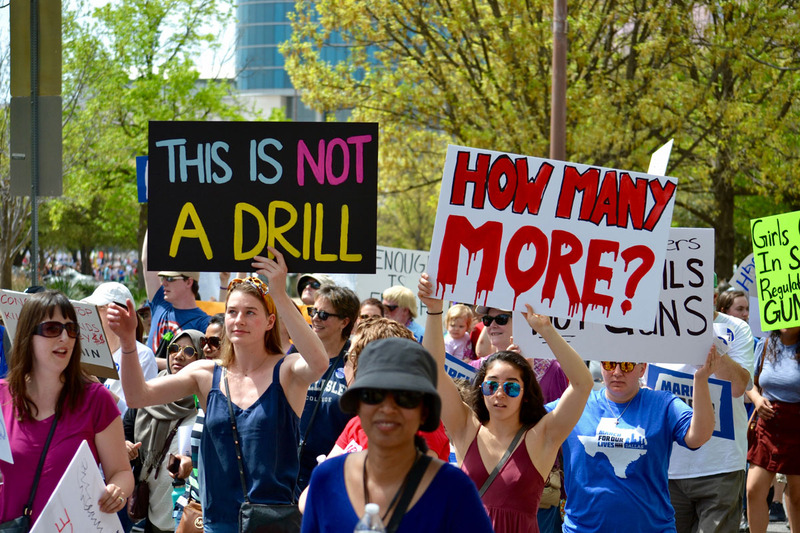 Previous ArticleThings To Do In Dallas On Monday, March 26. 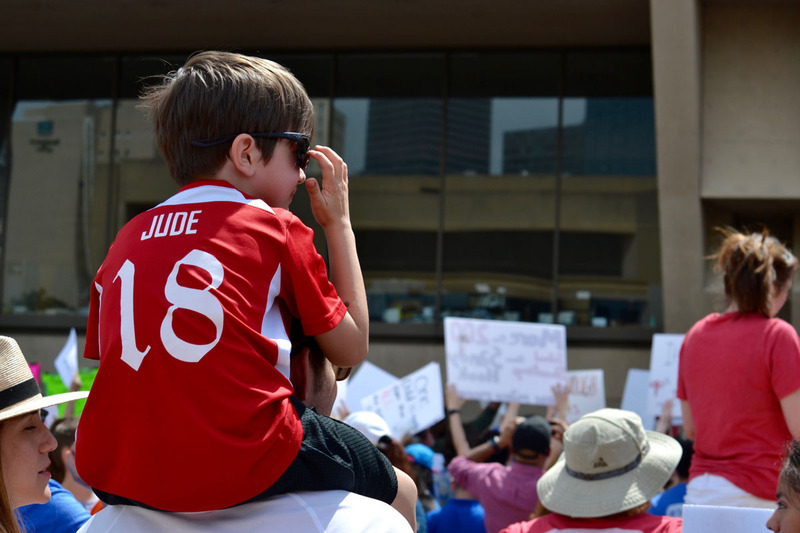 Next ArticleForechecking: Your Dallas Stars Have Imploded.